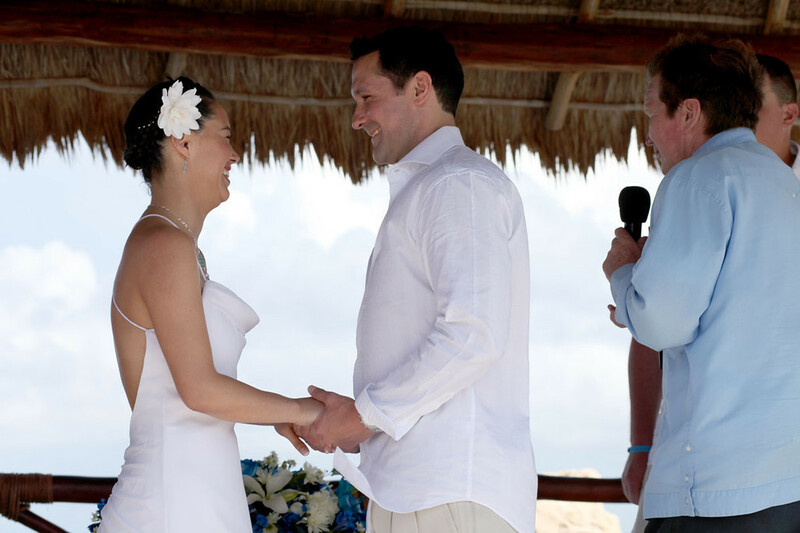 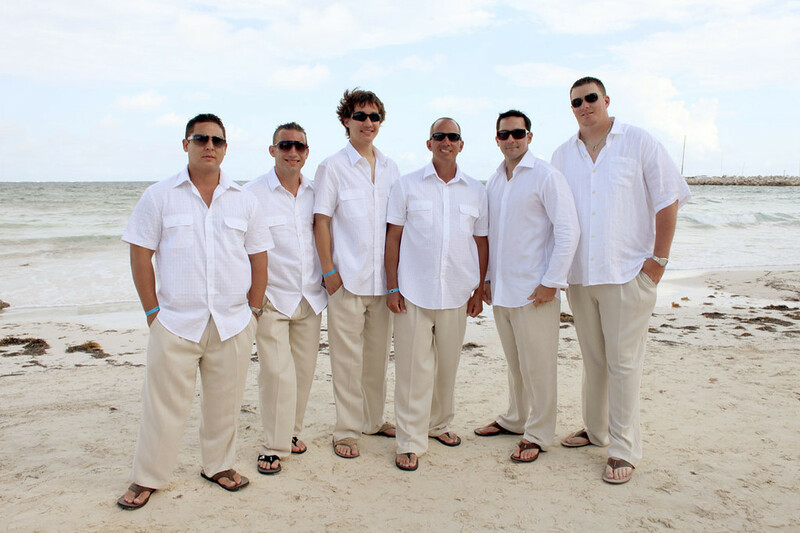 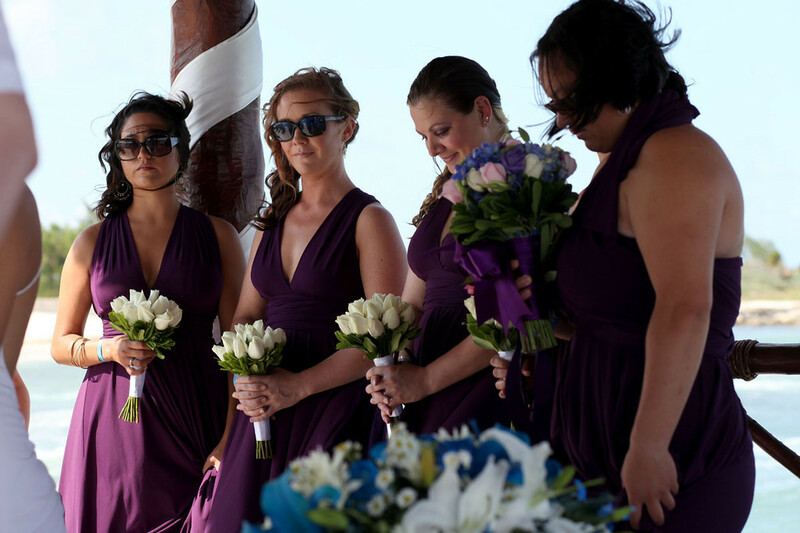 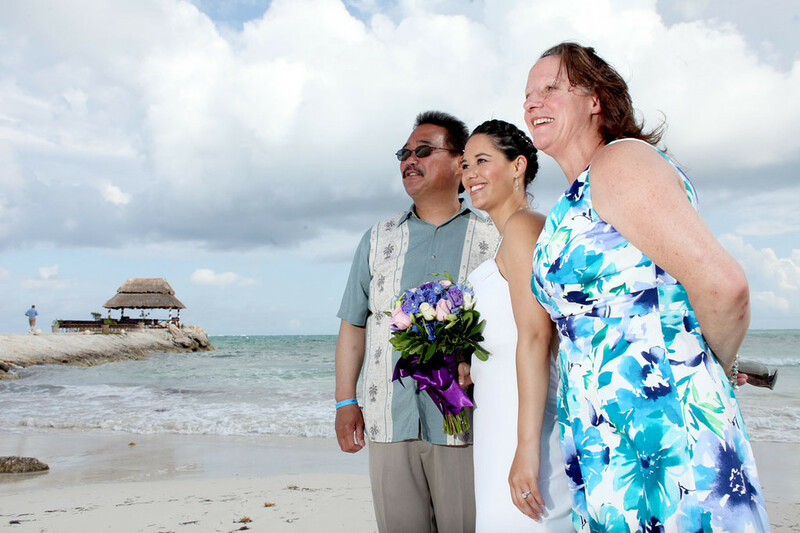 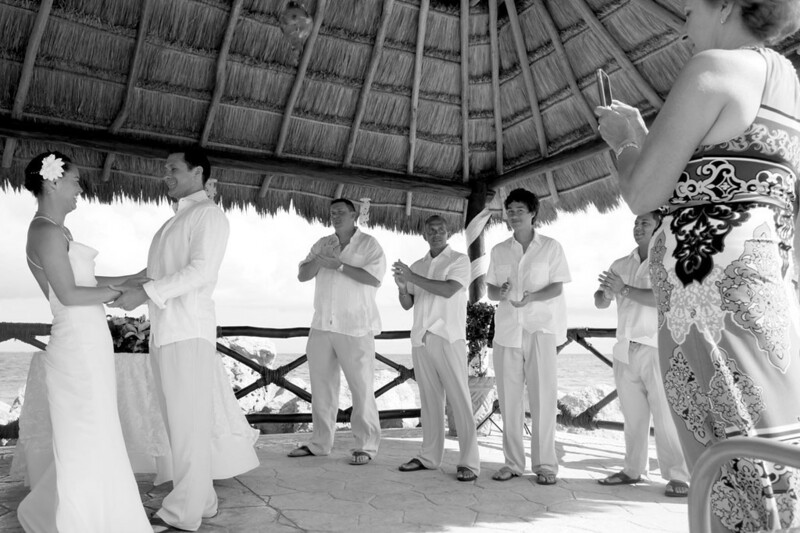 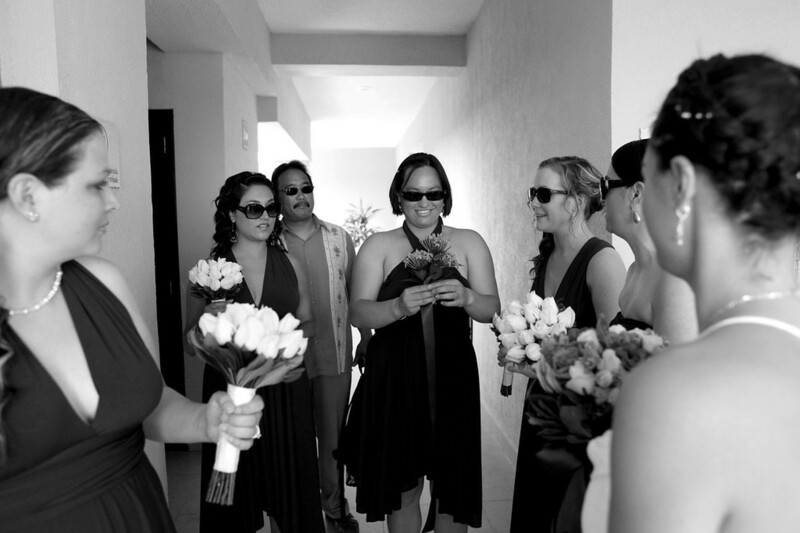 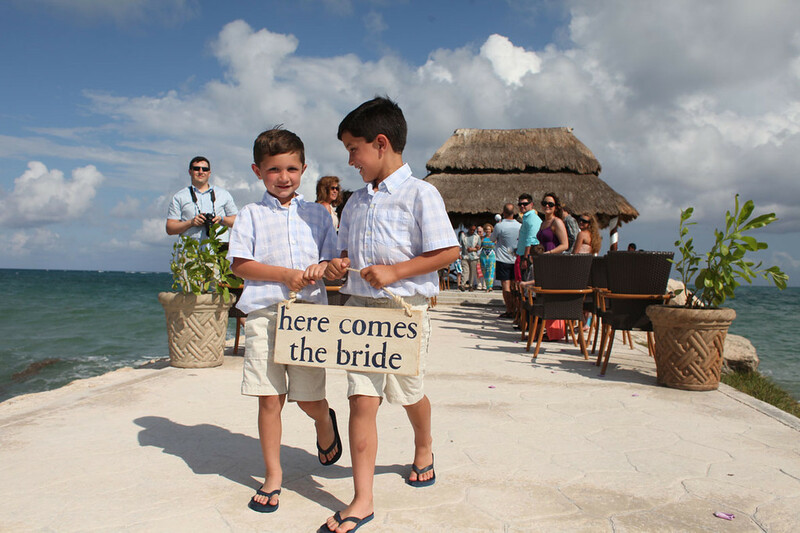 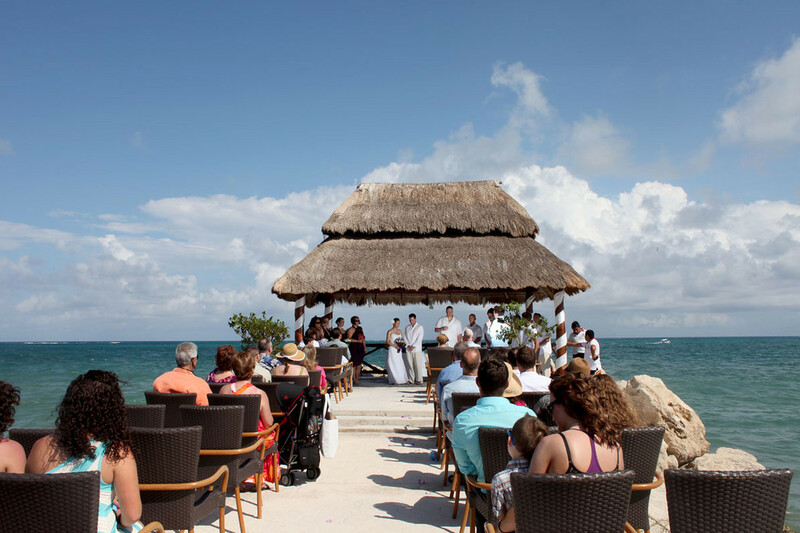 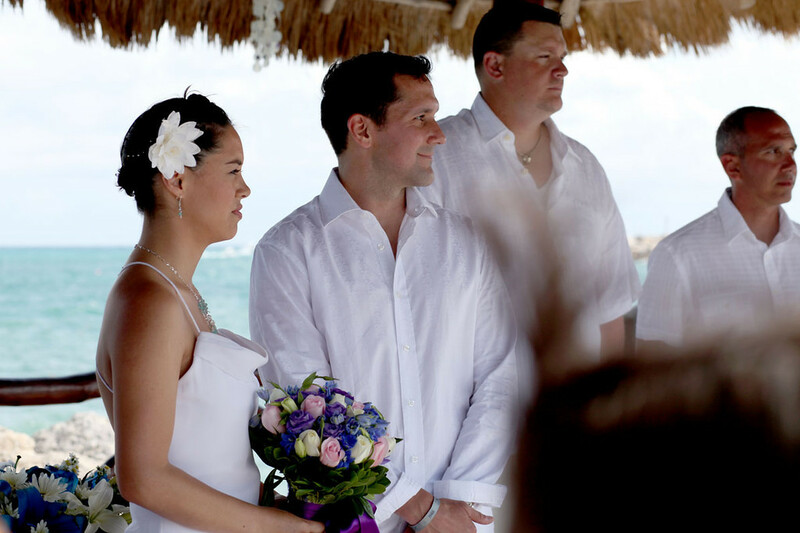 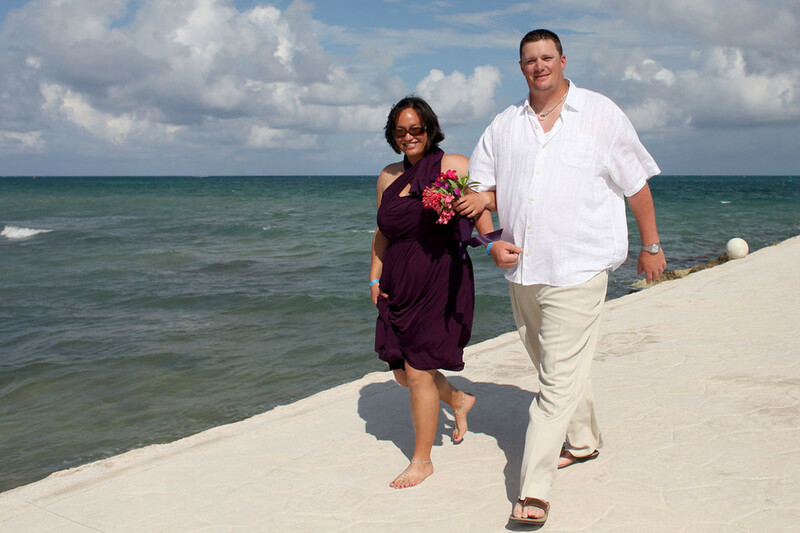 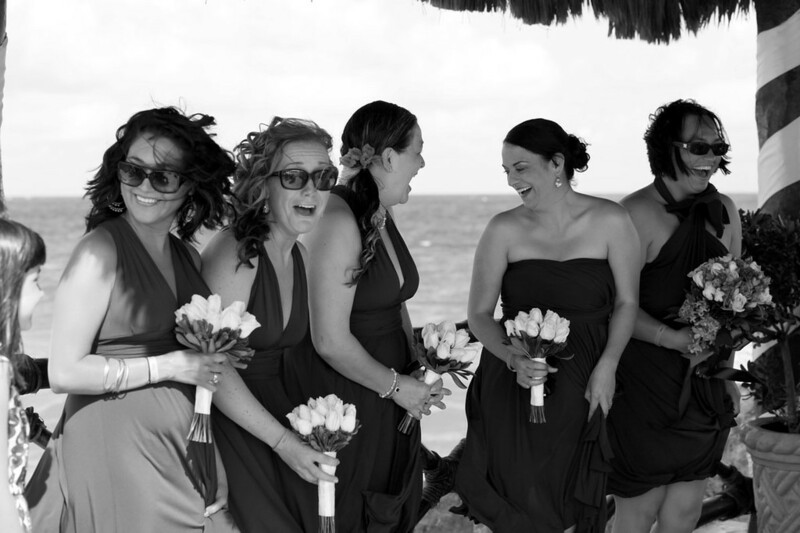 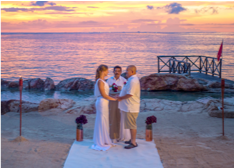 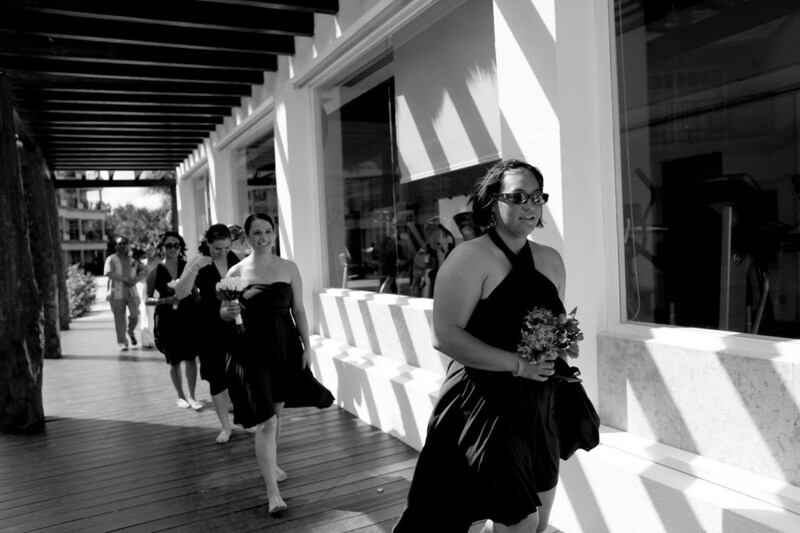 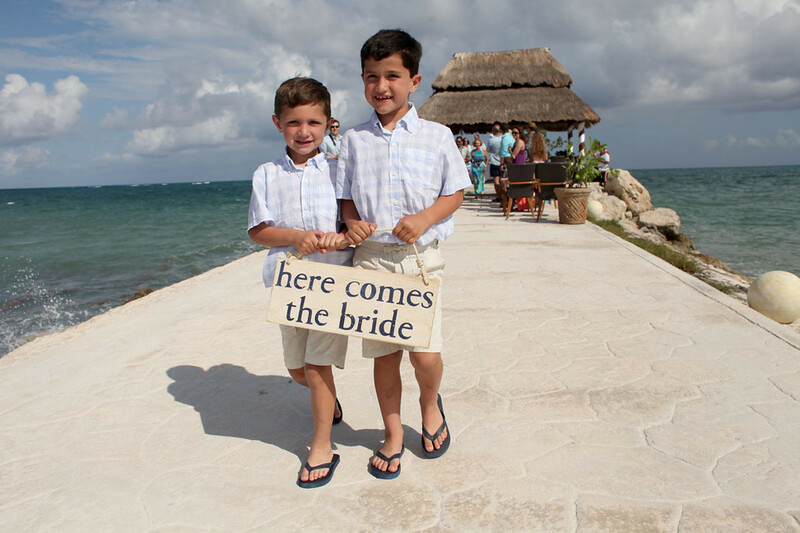 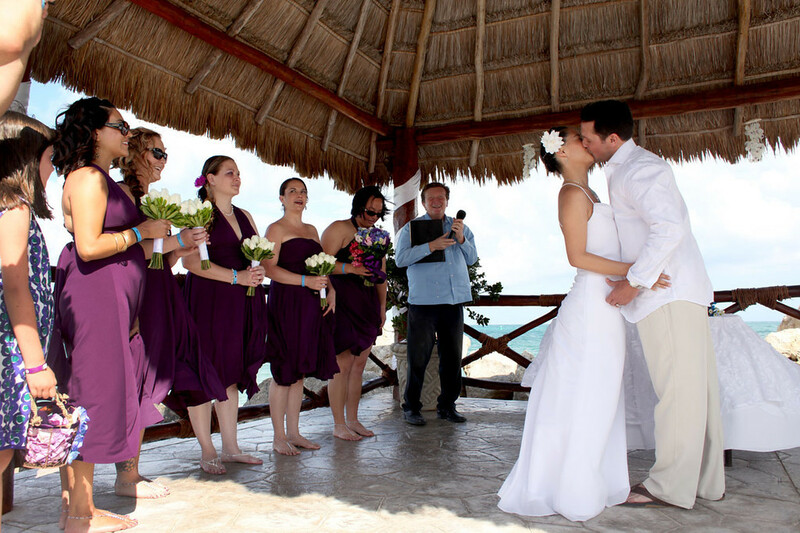 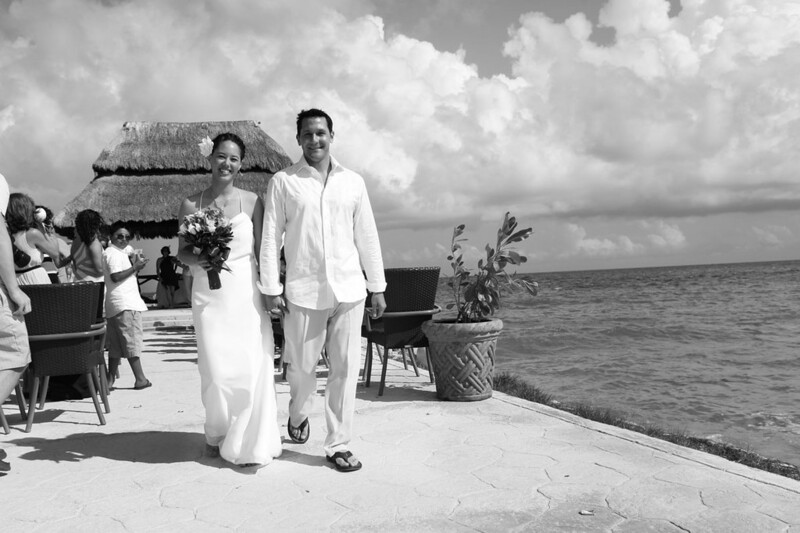 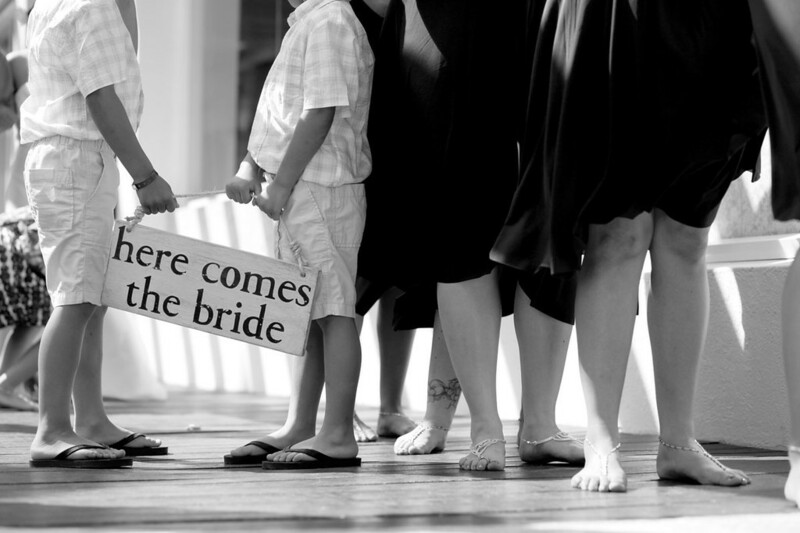 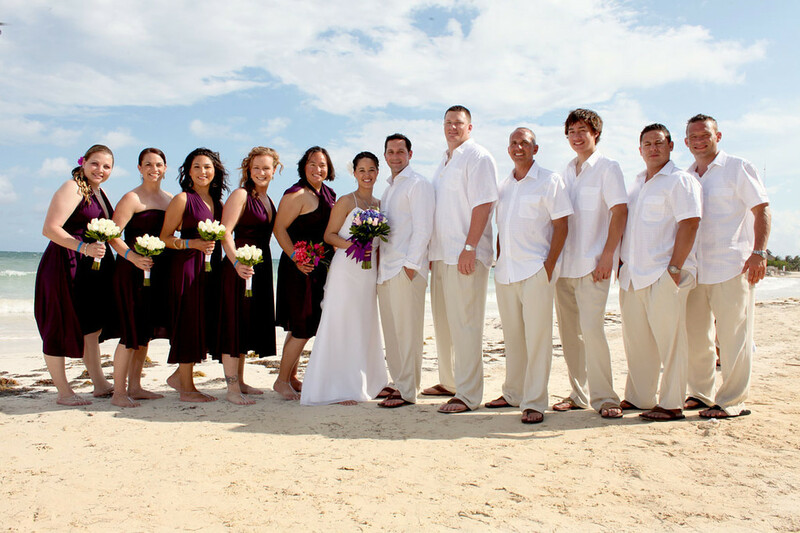 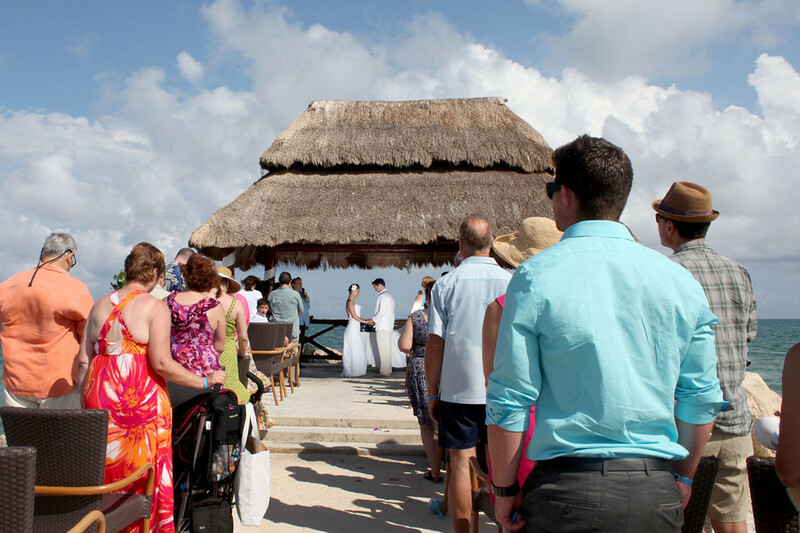 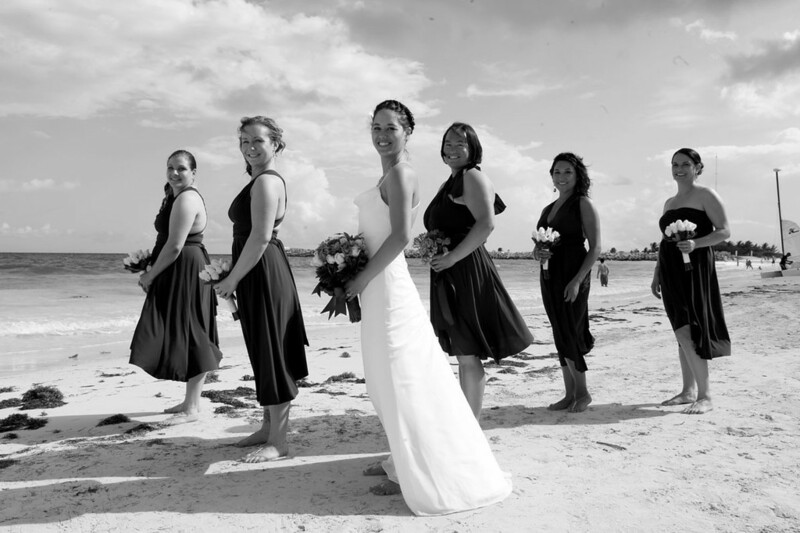 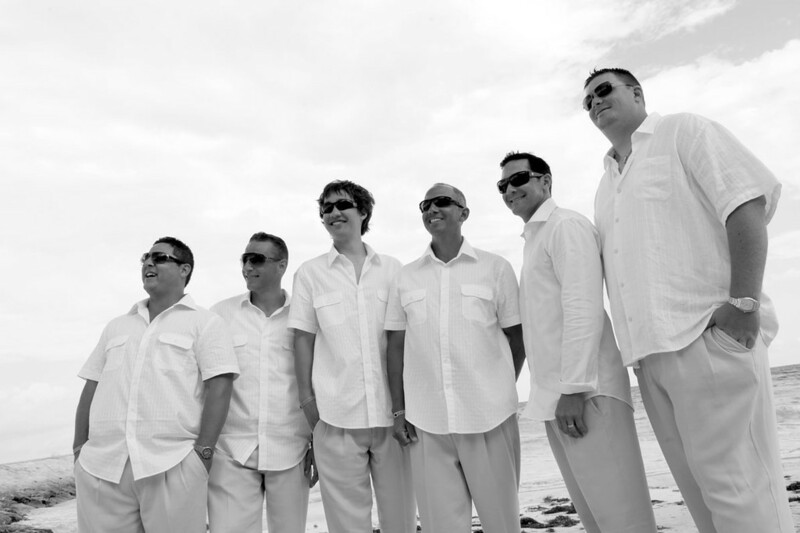 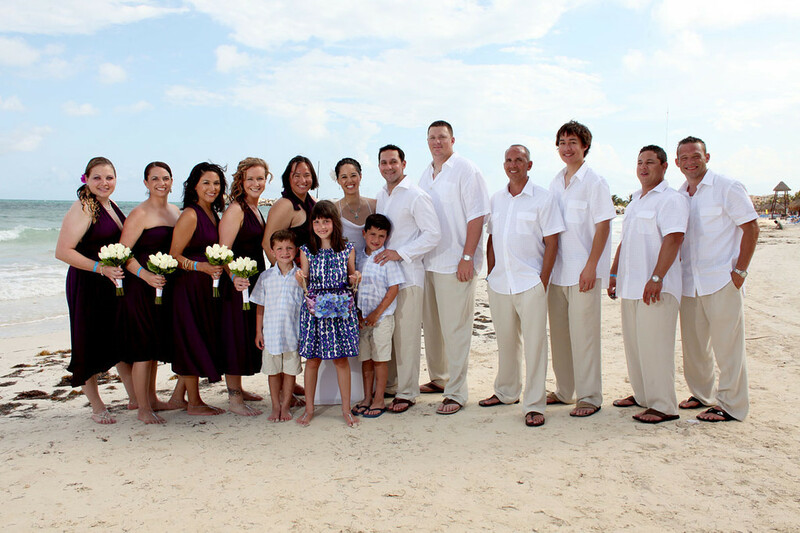 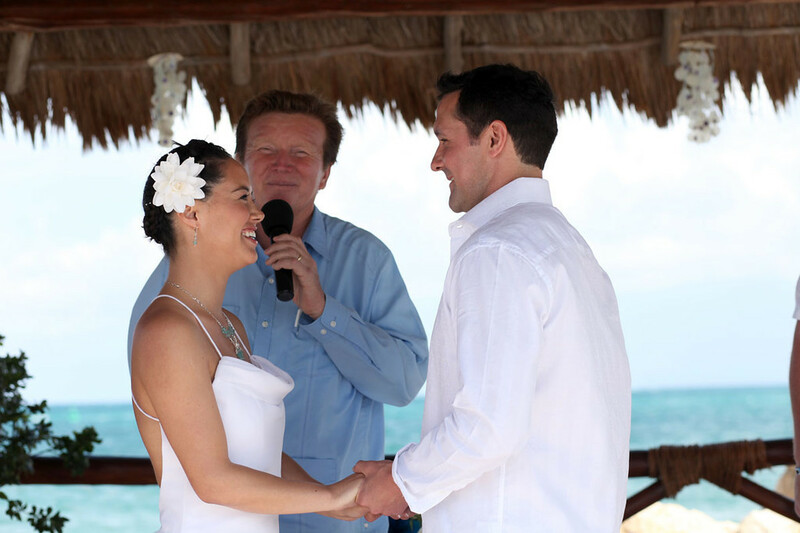 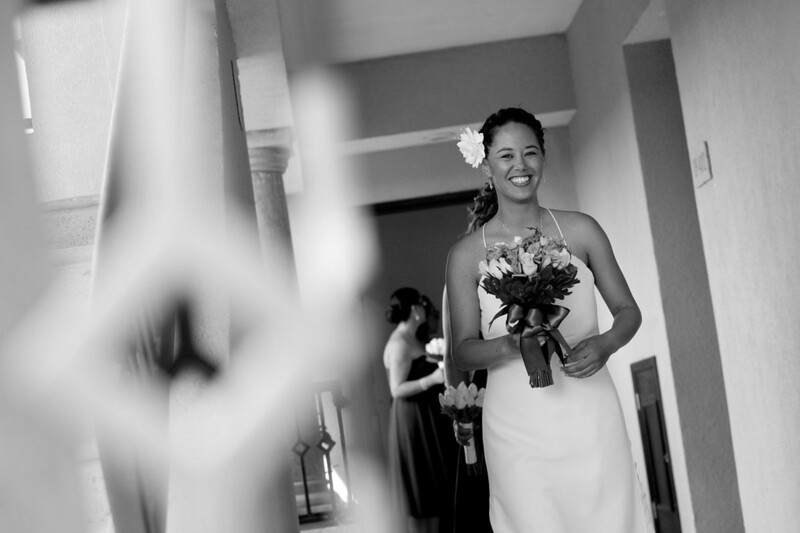 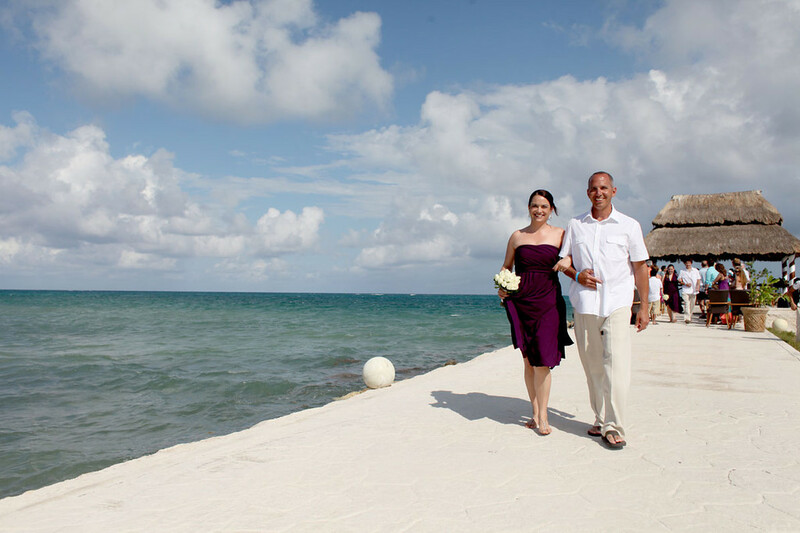 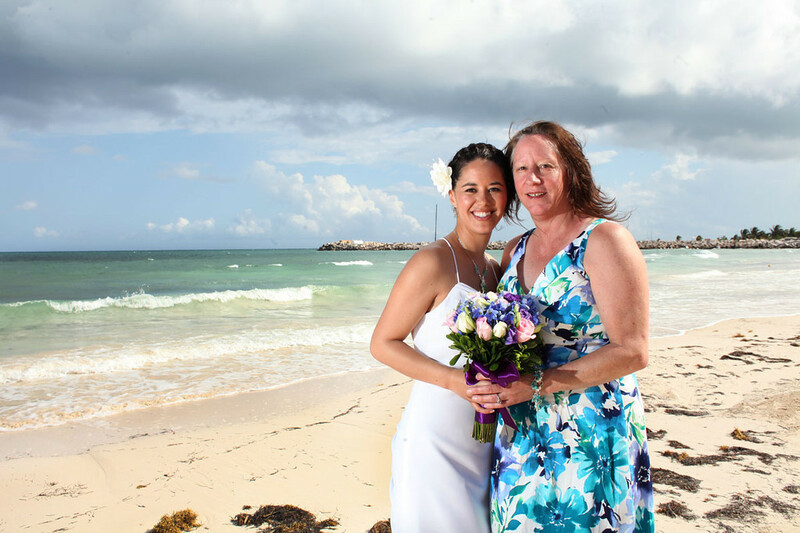 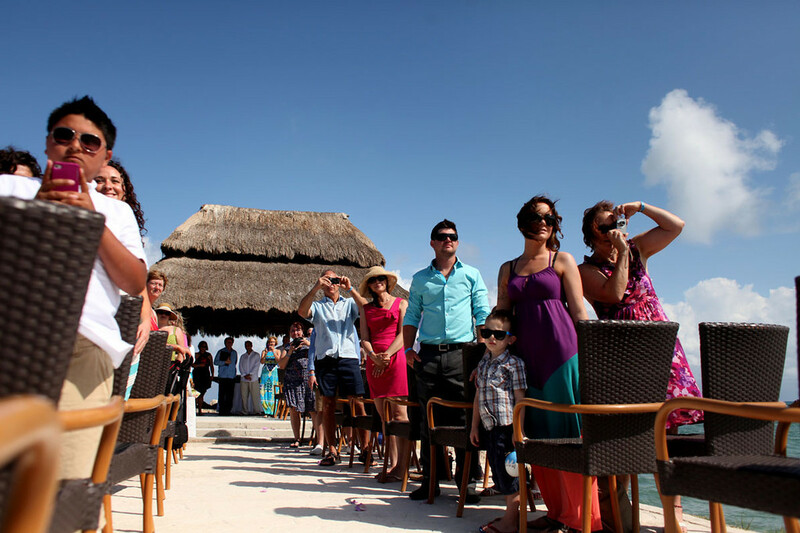 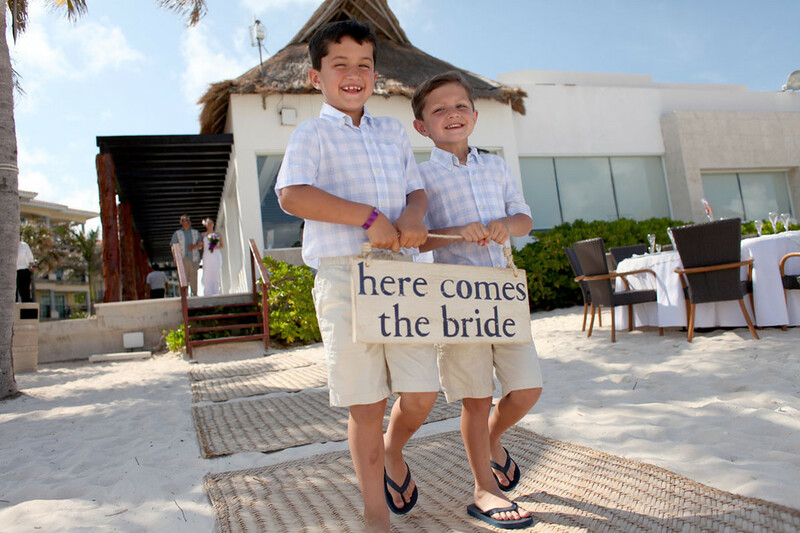 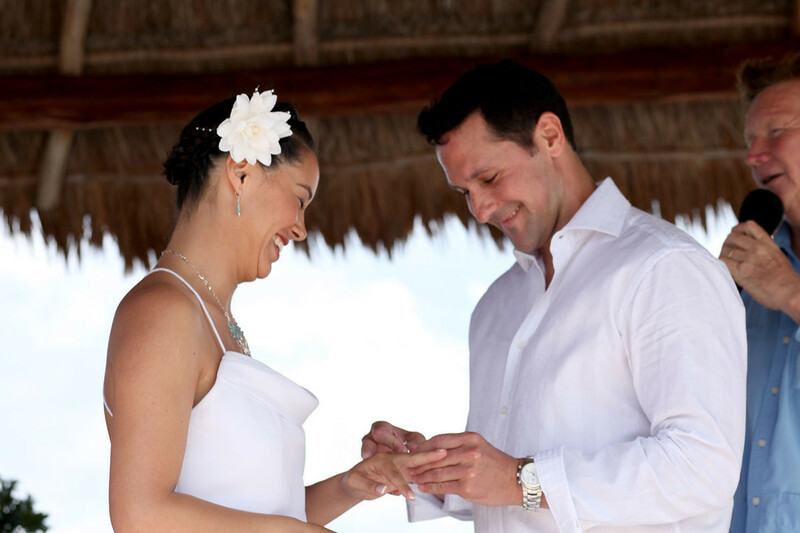 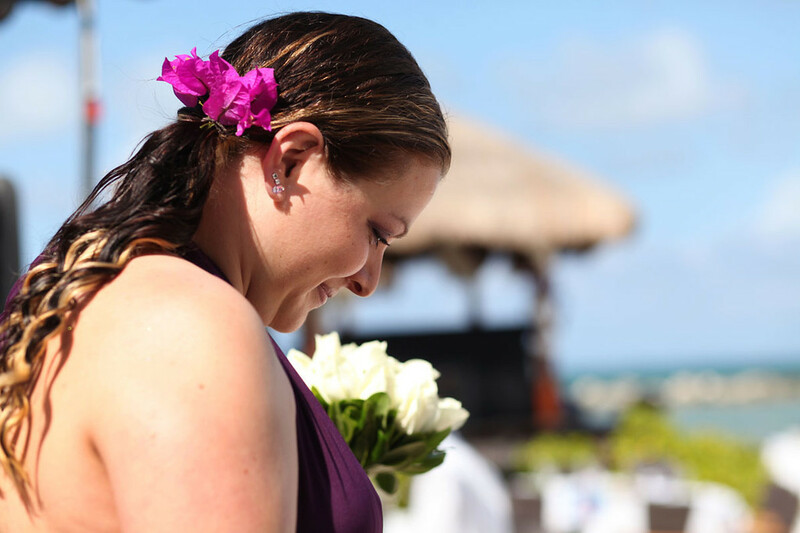 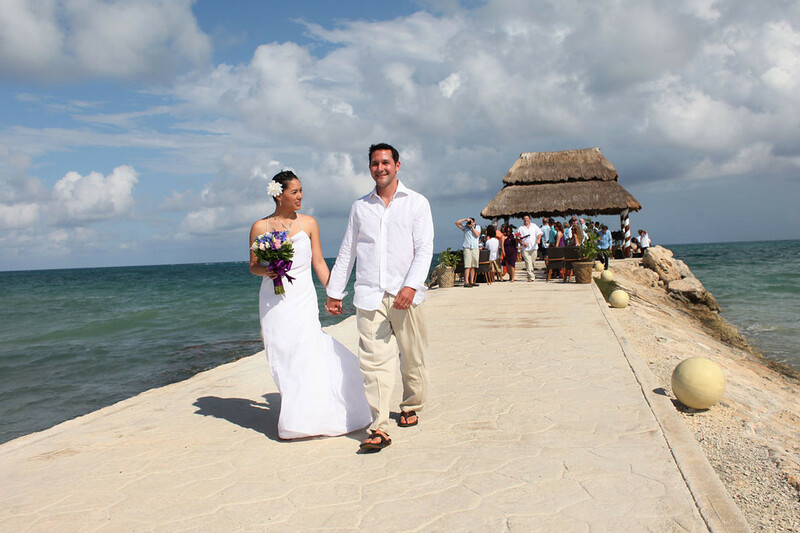 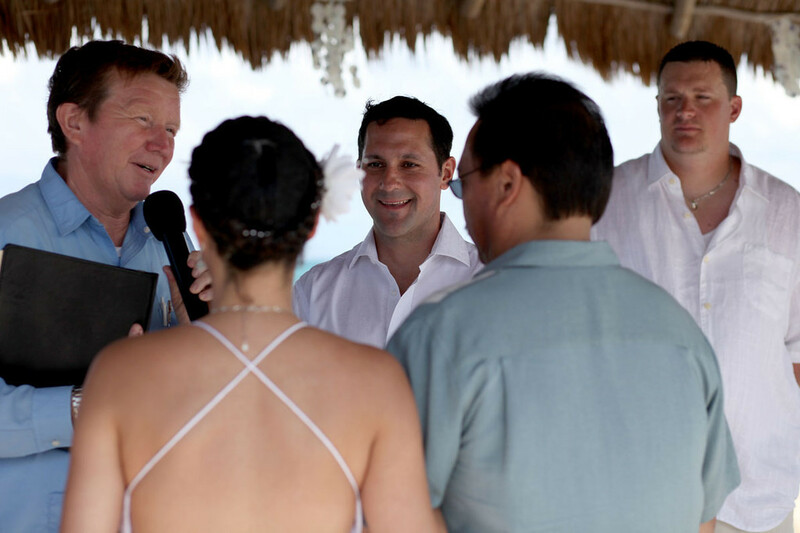 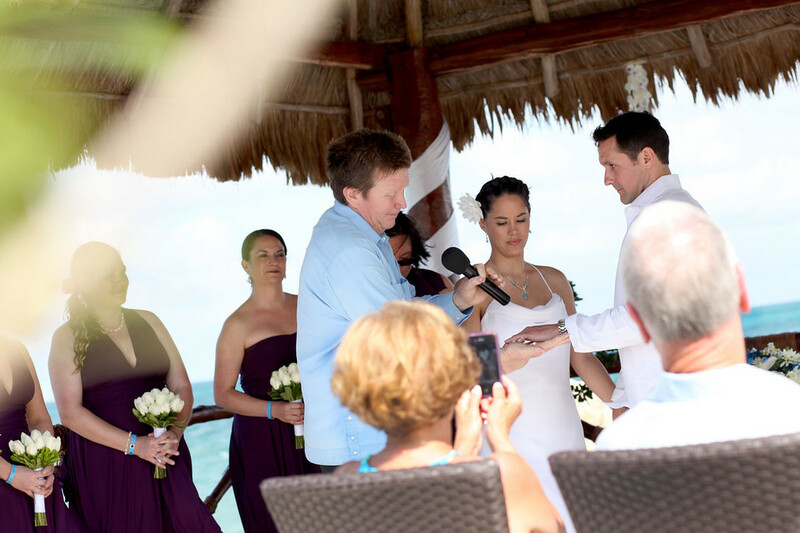 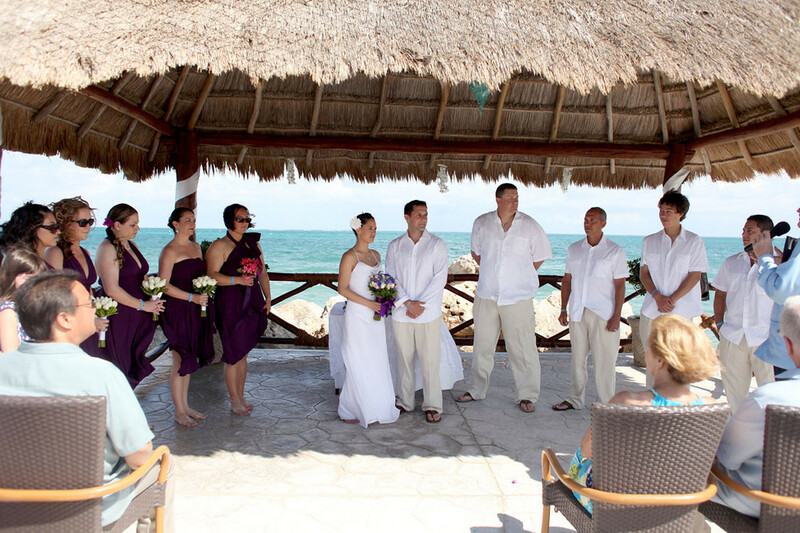 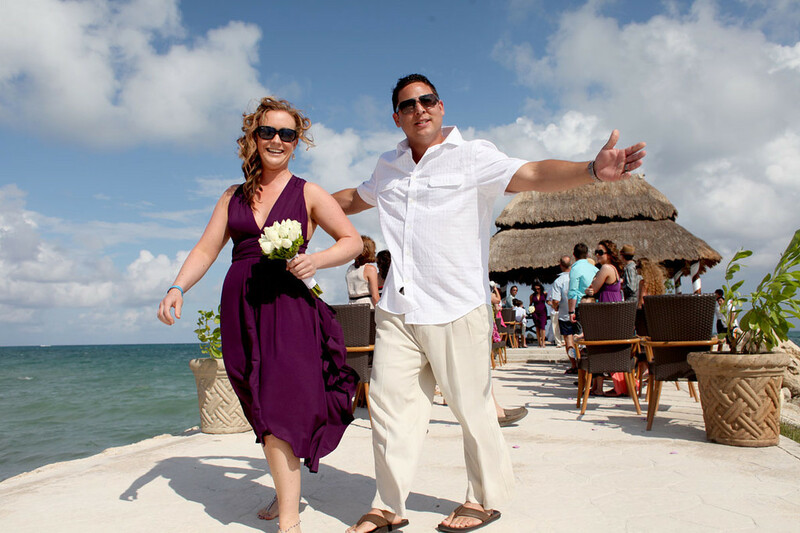 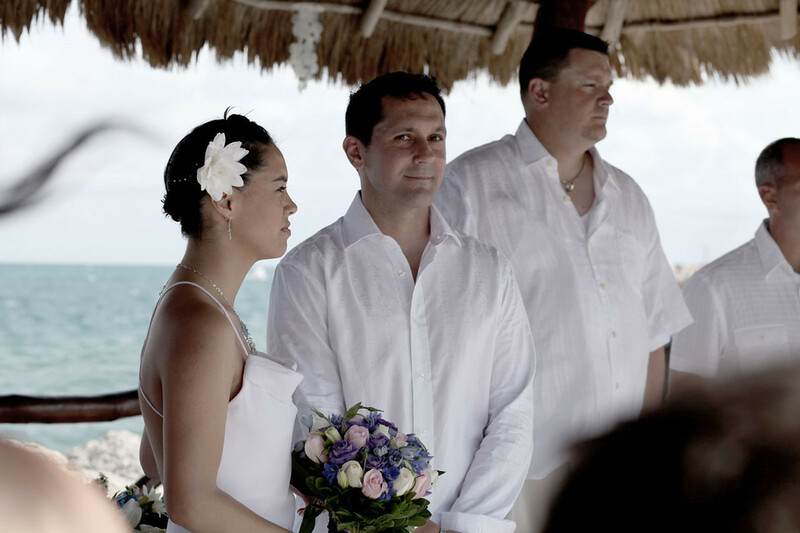 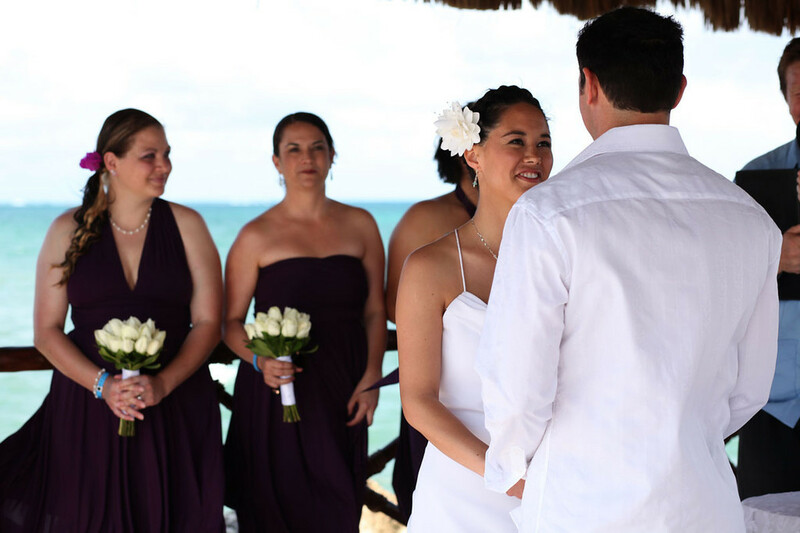 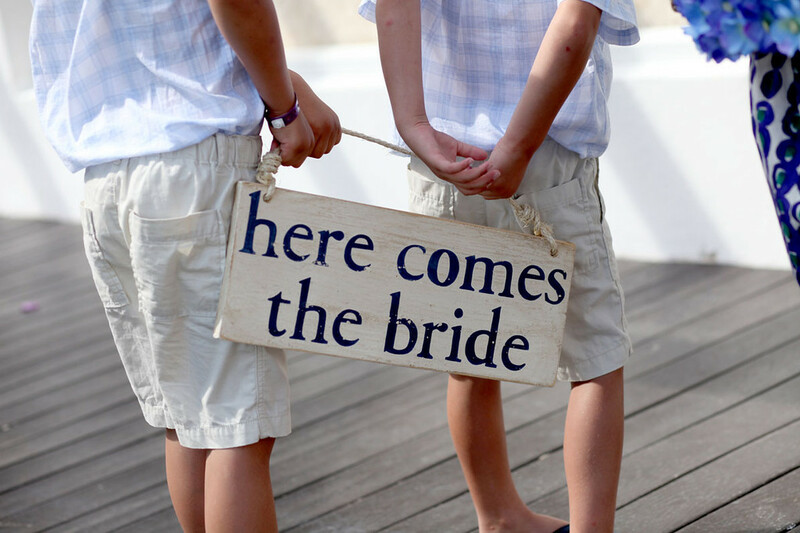 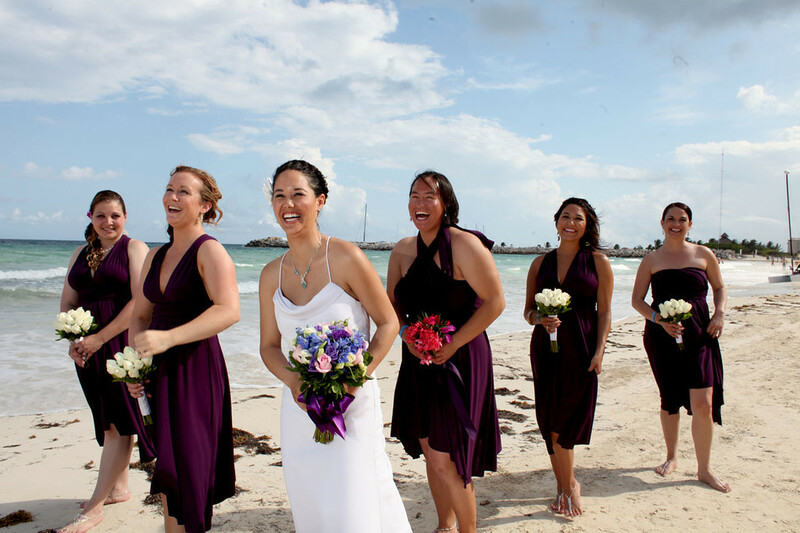 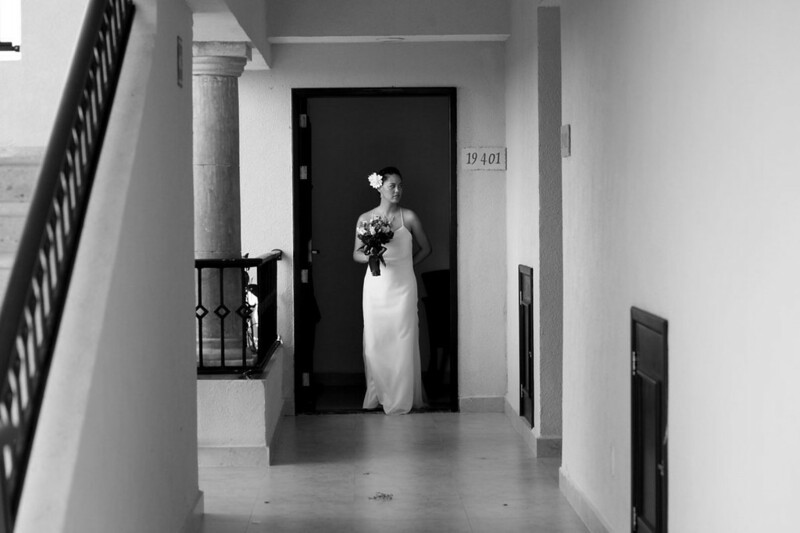 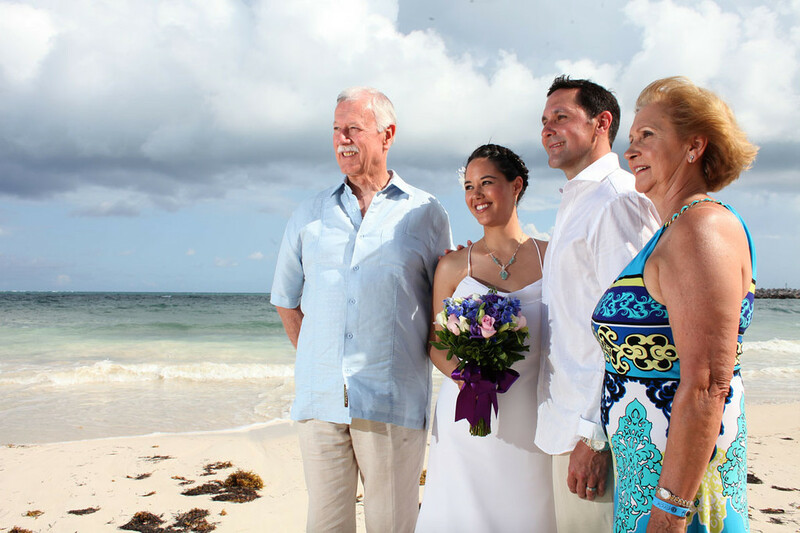 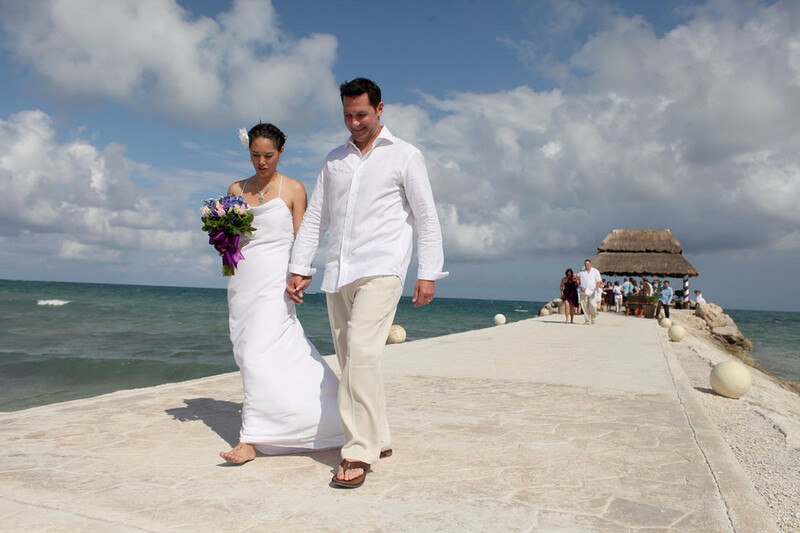 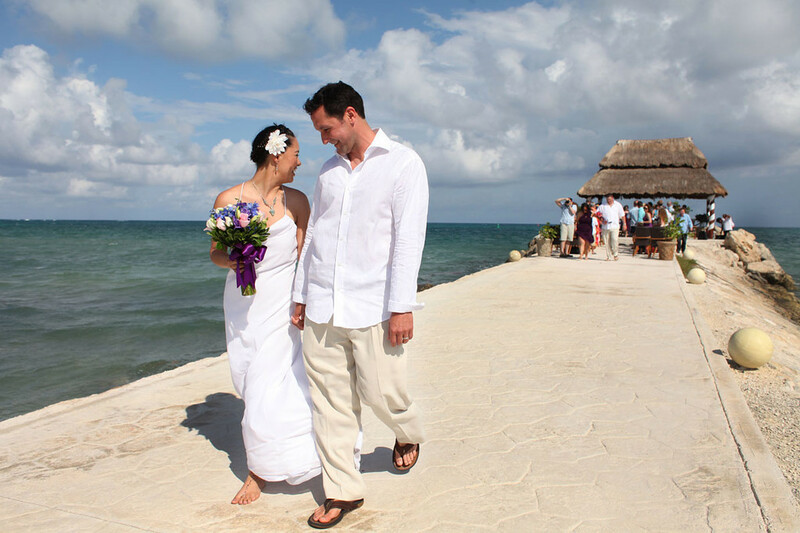 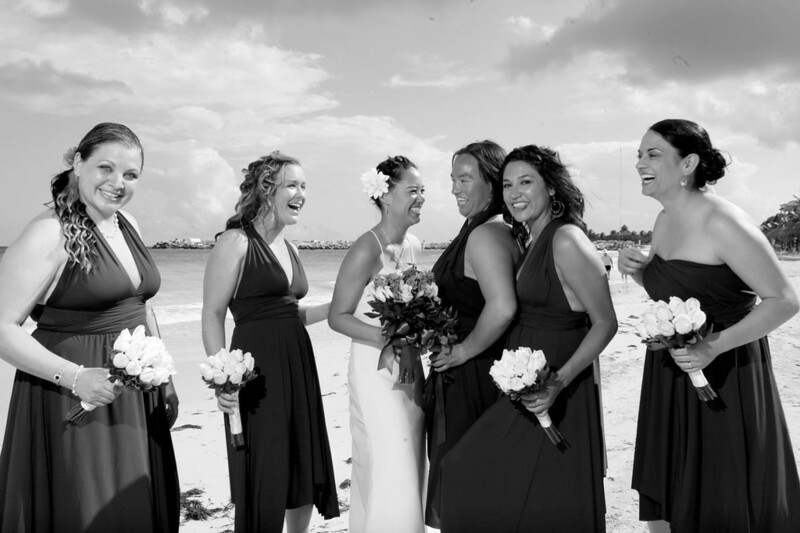 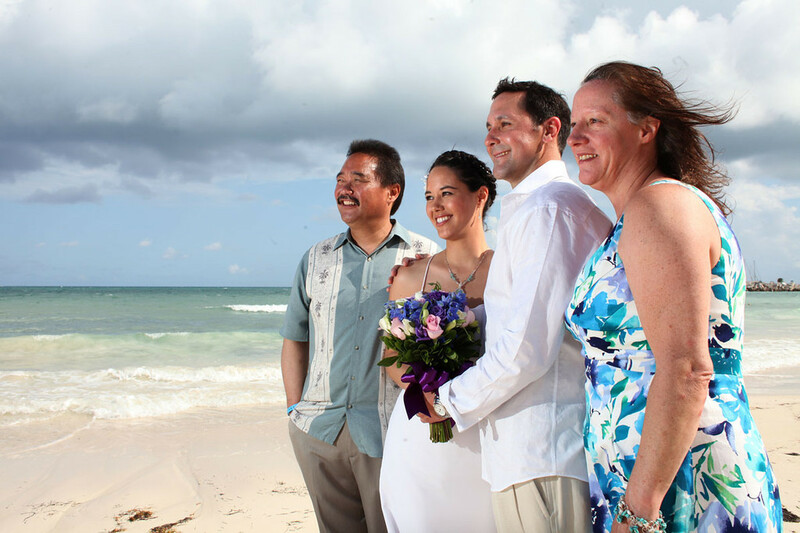 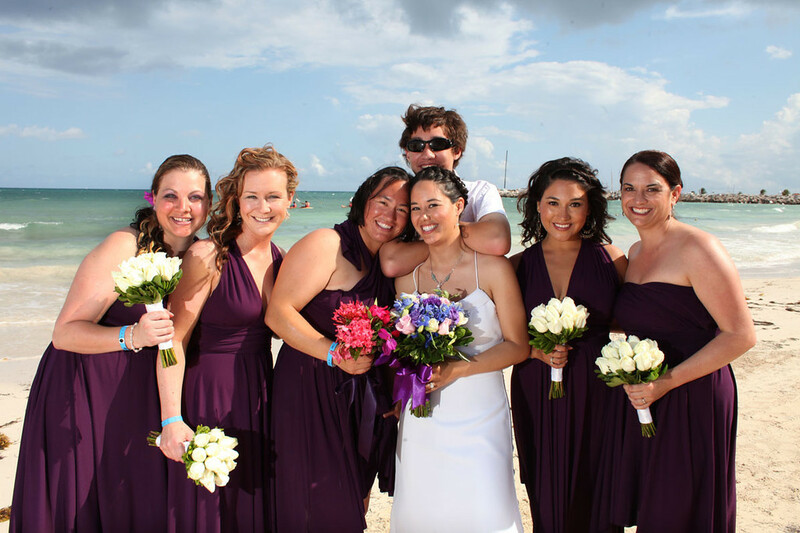 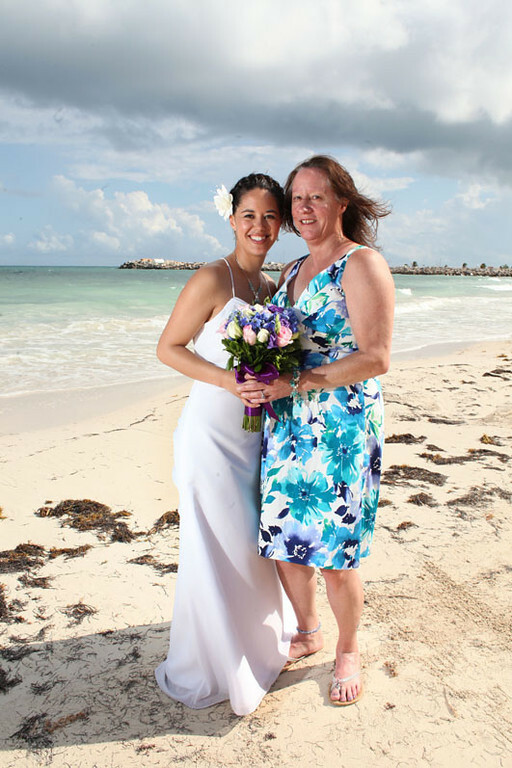 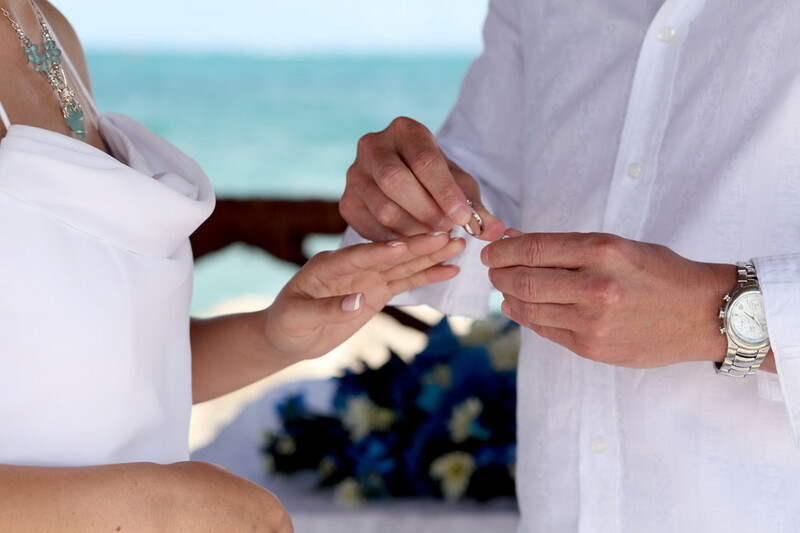 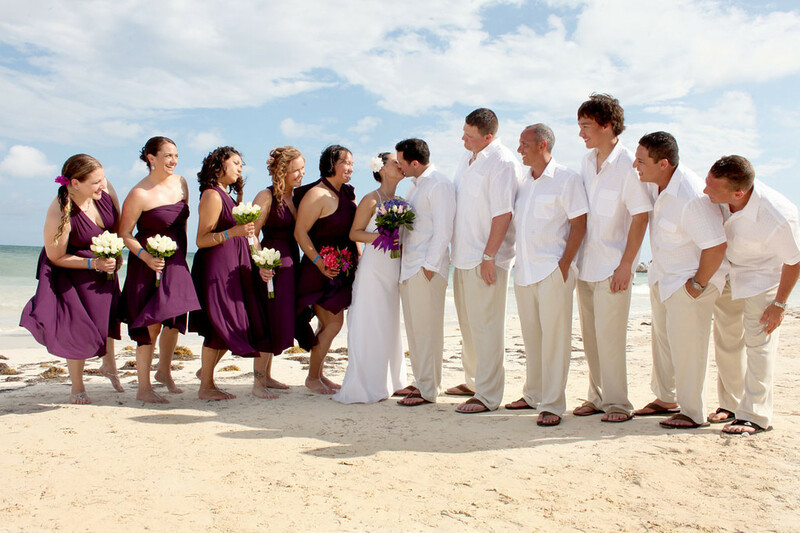 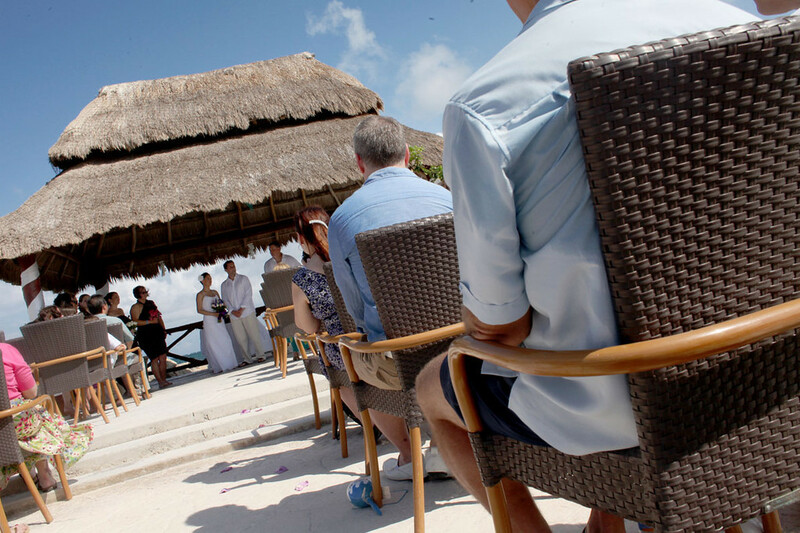 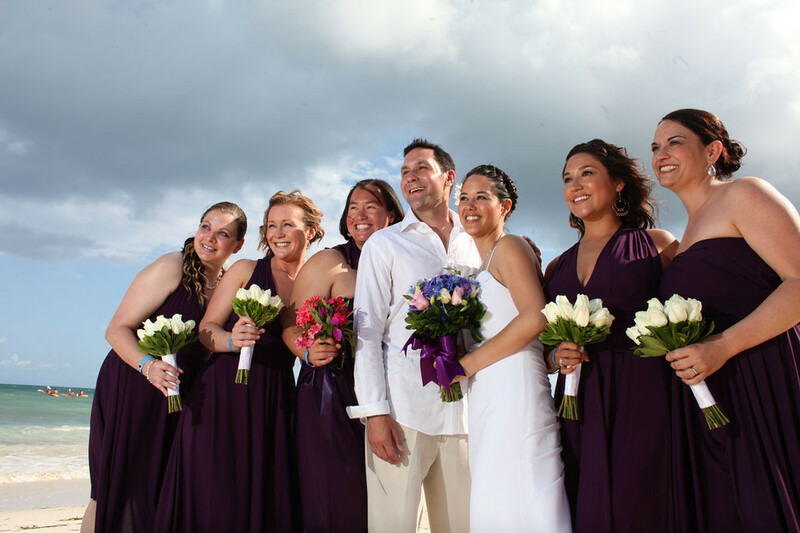 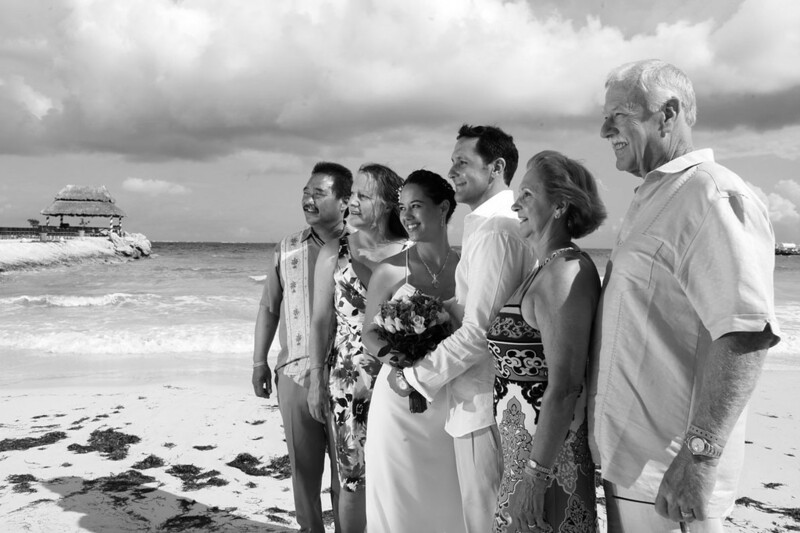 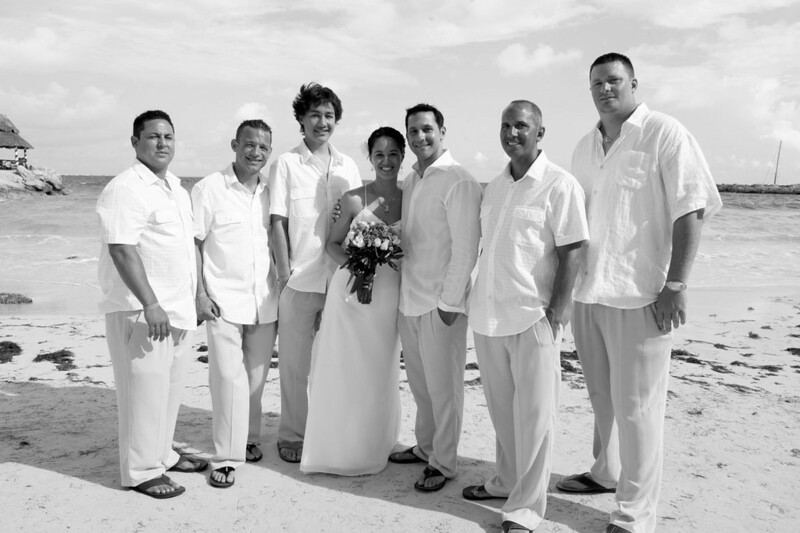 I don’t even know where to start with my review for our wedding at the El Cid, Riviera Maya in beautiful Puerto Morelos, Mexico – all I can say is, if you are considering having your wedding at the El Cid…do it with confidence! 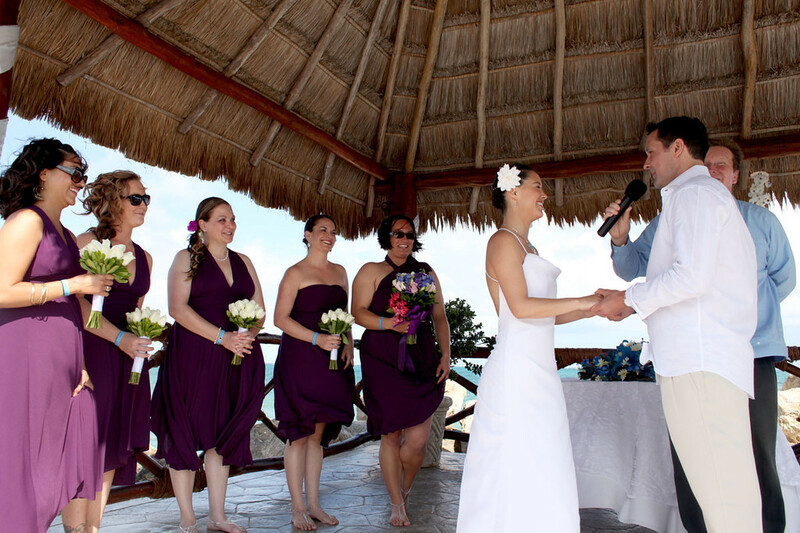 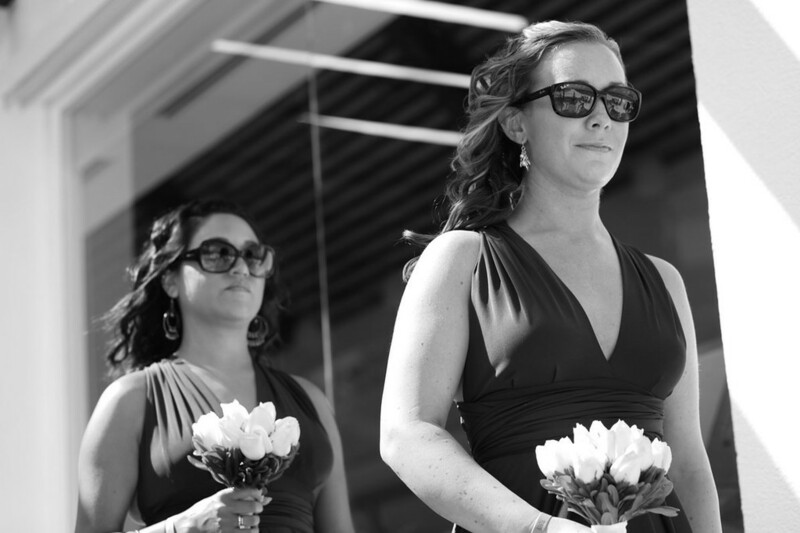 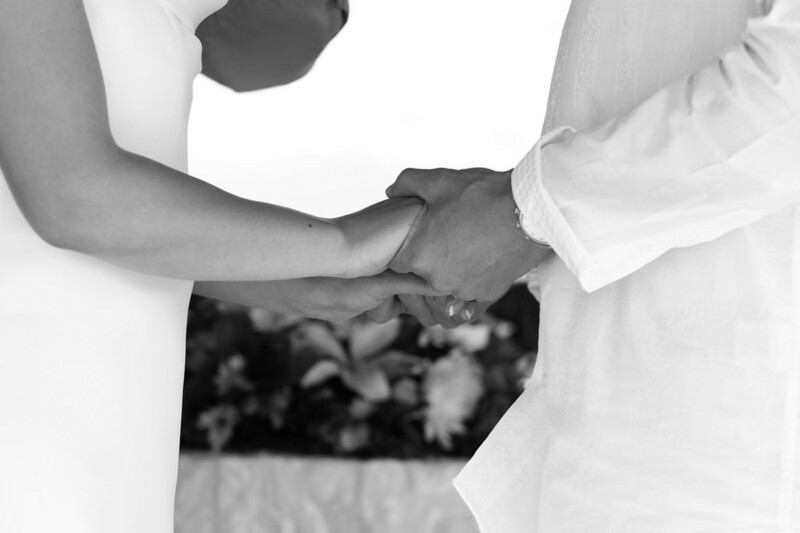 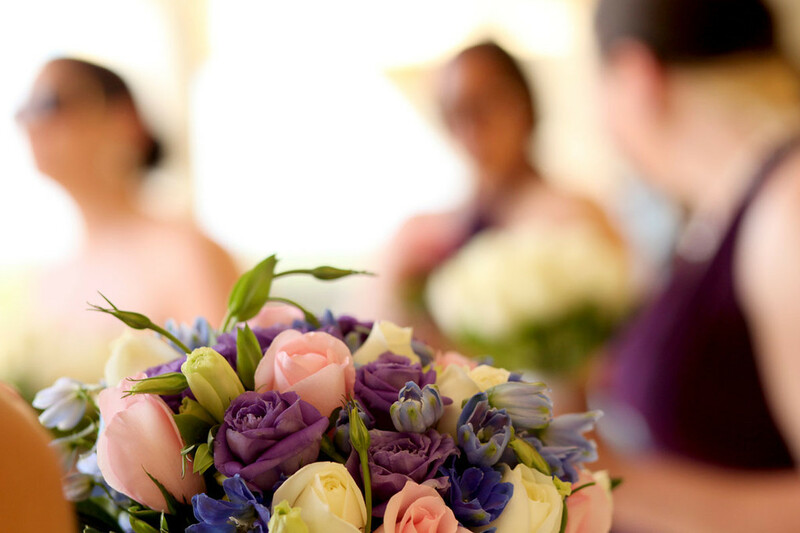 We got married this last April and had 55 people come down, and the event really exceeded all of our expectations. 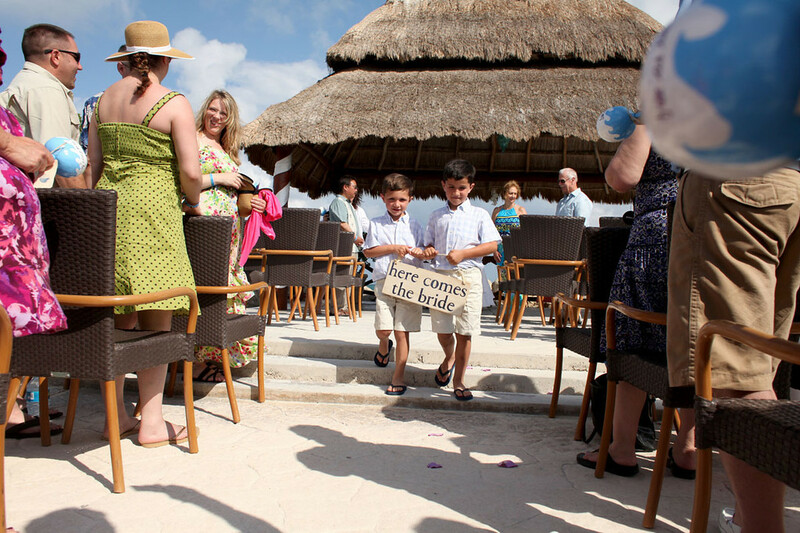 We owe the hotel staff for that success. 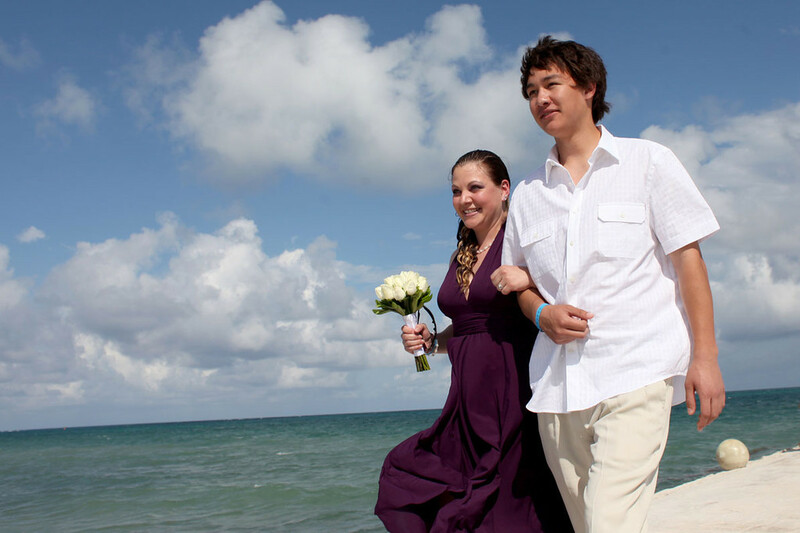 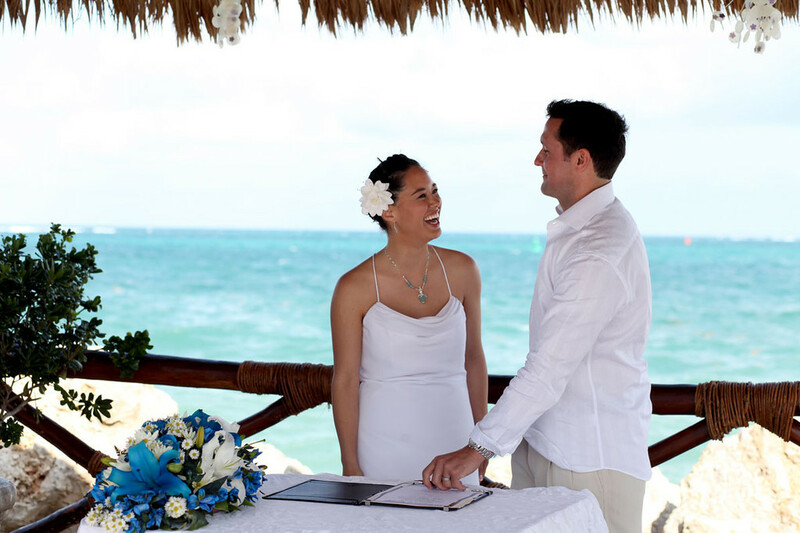 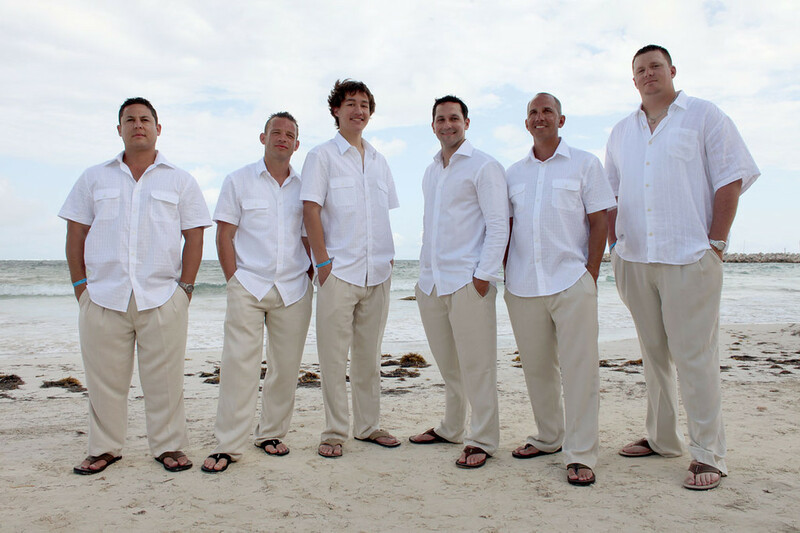 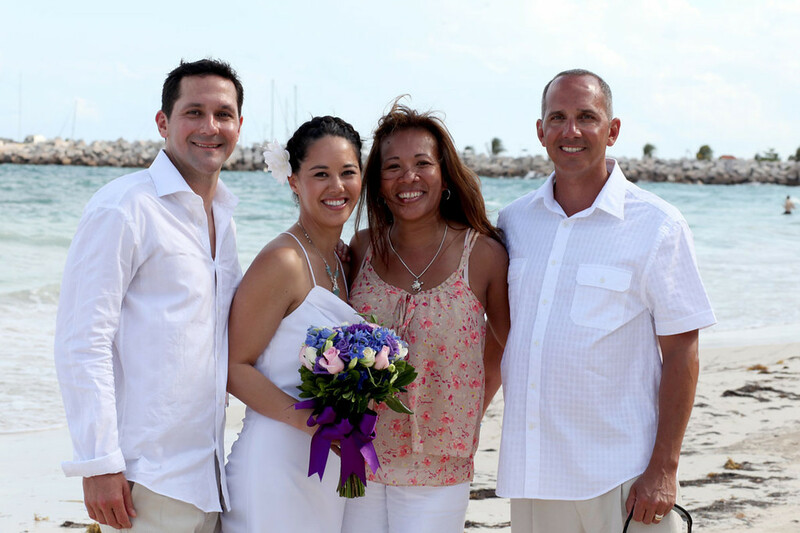 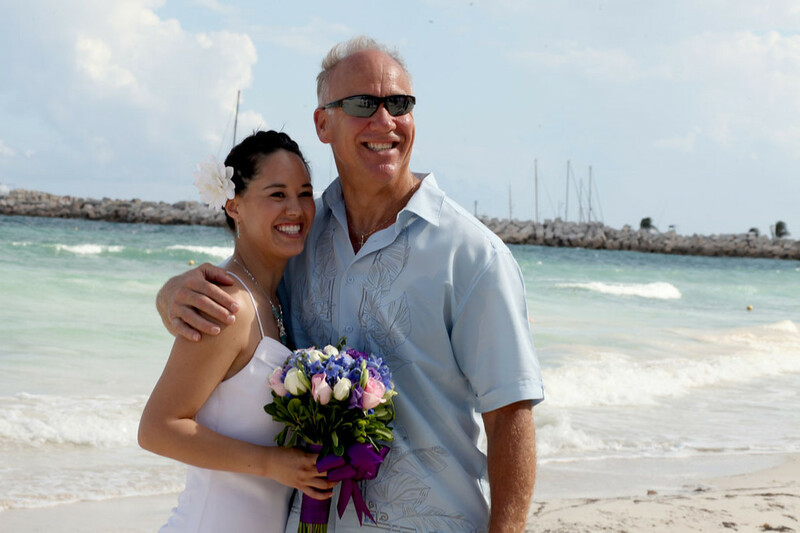 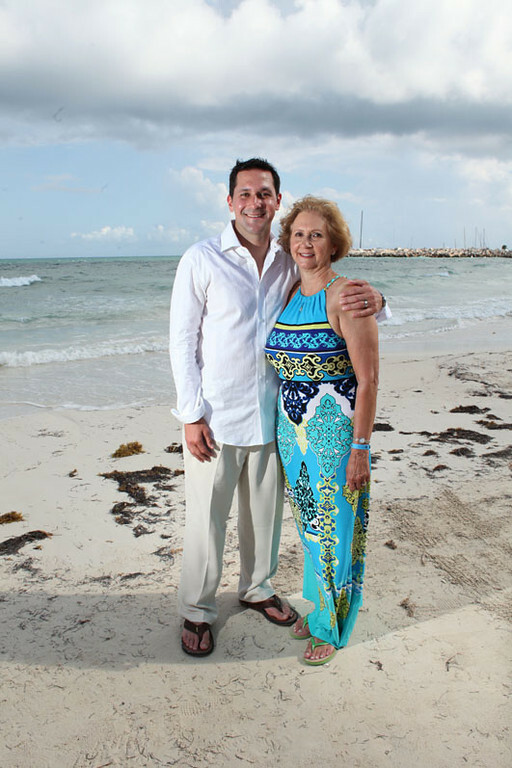 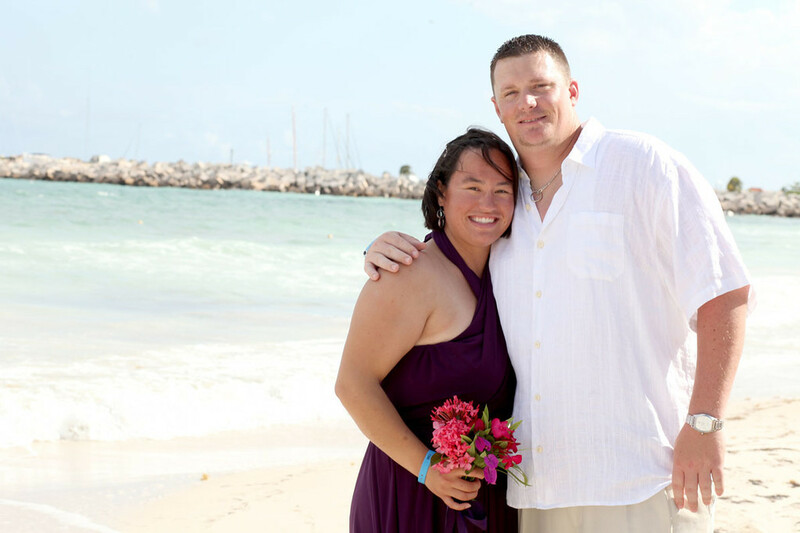 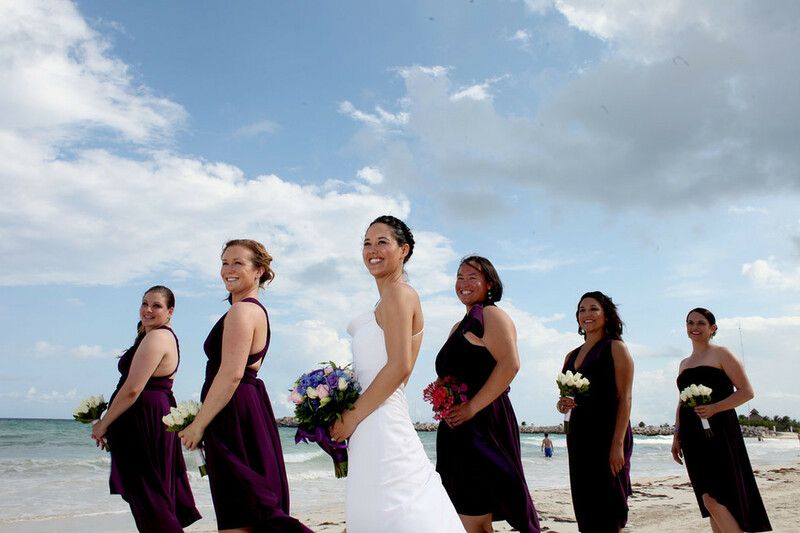 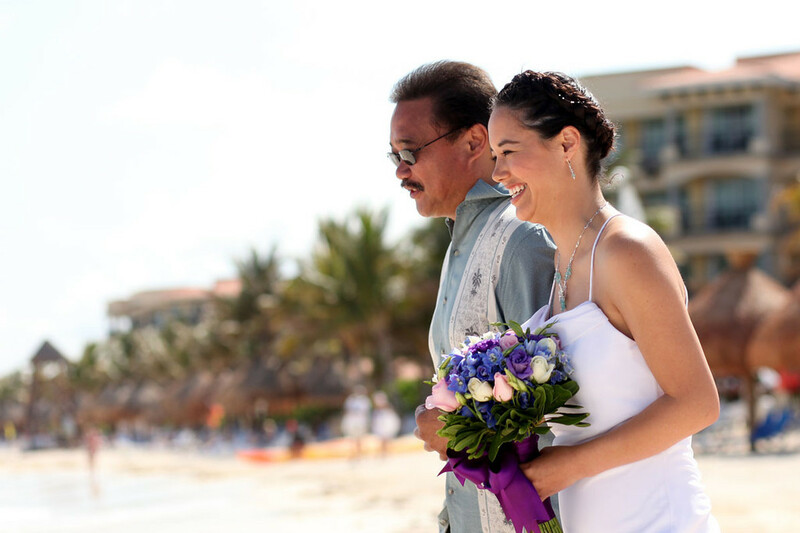 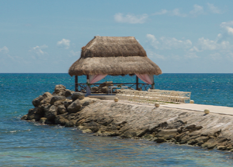 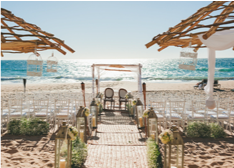 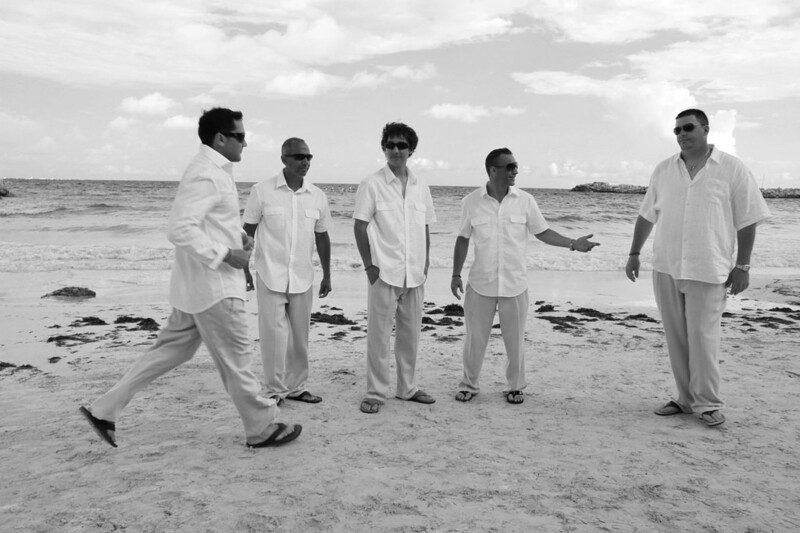 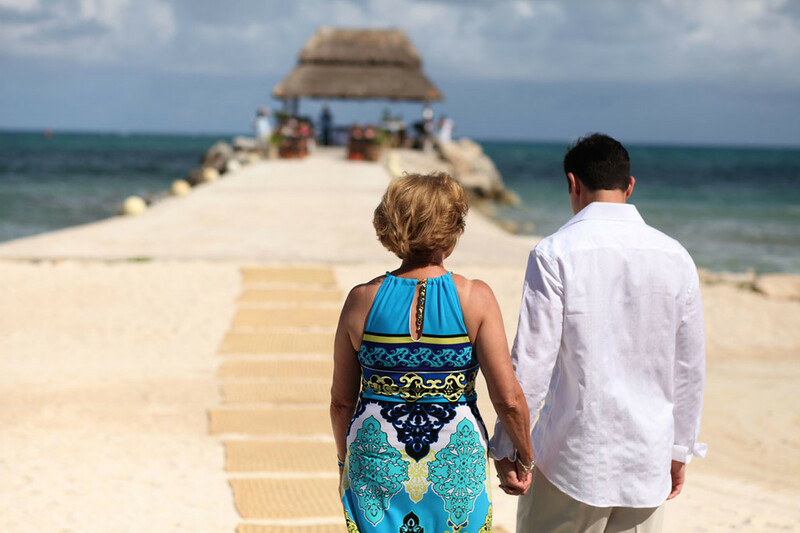 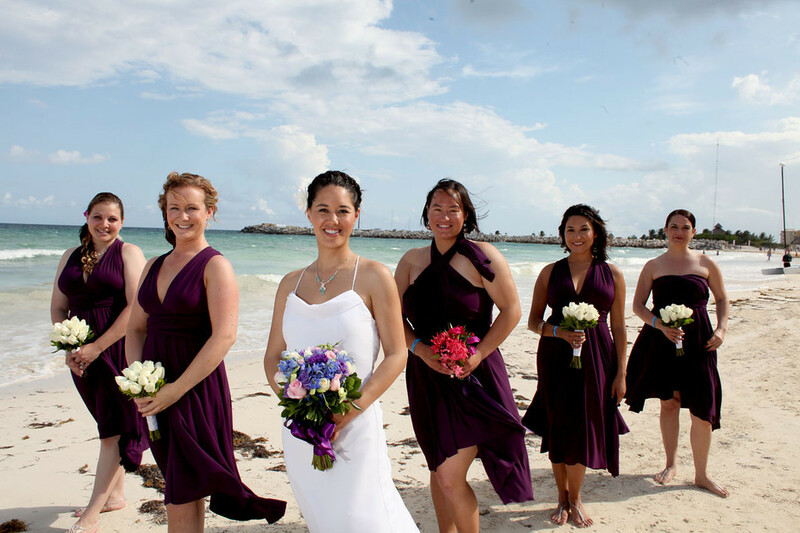 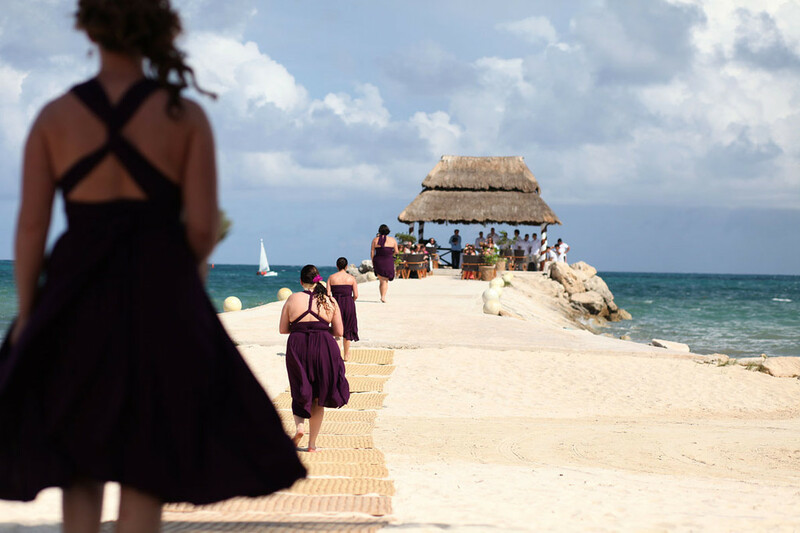 We visited about 15 hotels in Playa del Carmen last November and selected the El Cid for a couple different reasons – first, the hotel has a very beautiful private beach for our guest, and a gorgeous pier for the wedding ceremony (if far exceeded any other location we visited). 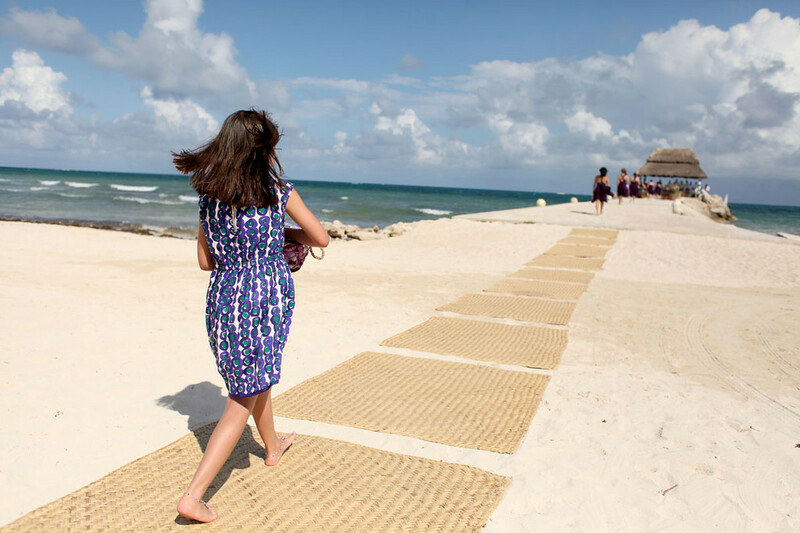 One great thing about this hotel is that it’s away from the Cancun hotel zone so the beach is private and there are not any beach goers trying to constantly sell you things, but it’s close enough to downtown Playa del Carmen for shopping and getting off property. 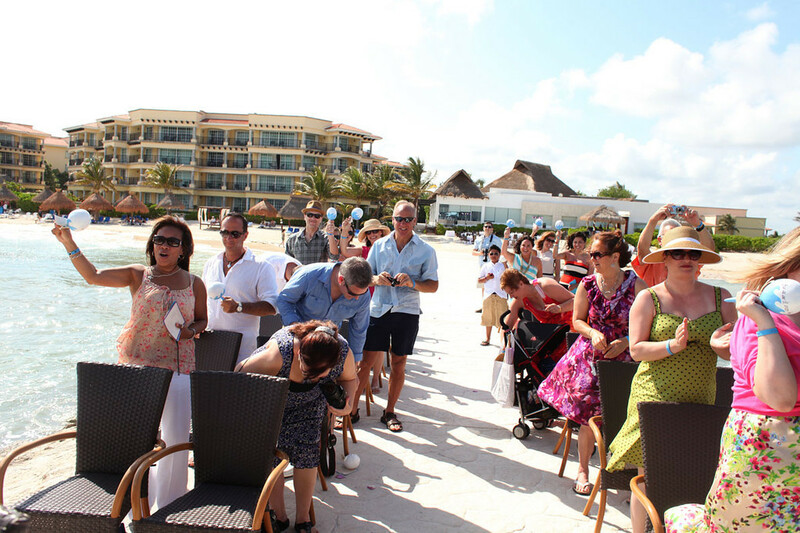 Second was the staff – they really know how to make you feel special (and on vacation). 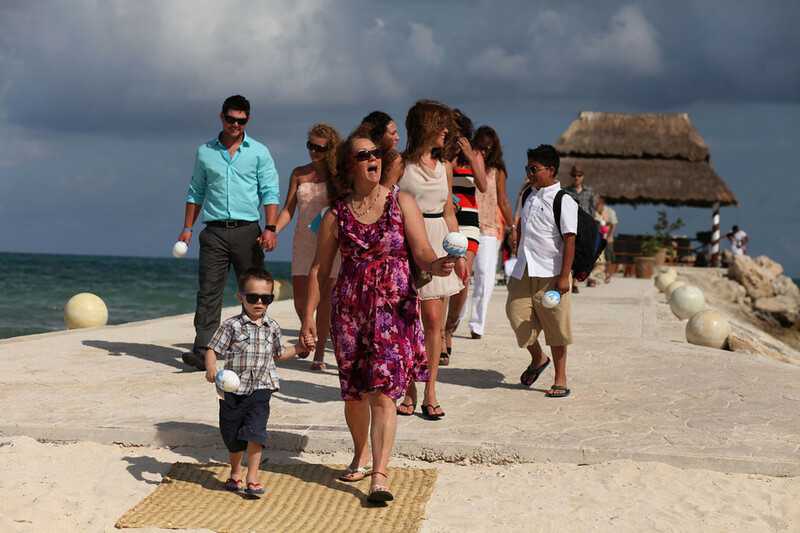 Lastly, the resort is very family and kid friendly so there is plenty to do during the day and at night…and it’s both a safe and an active environment for children. 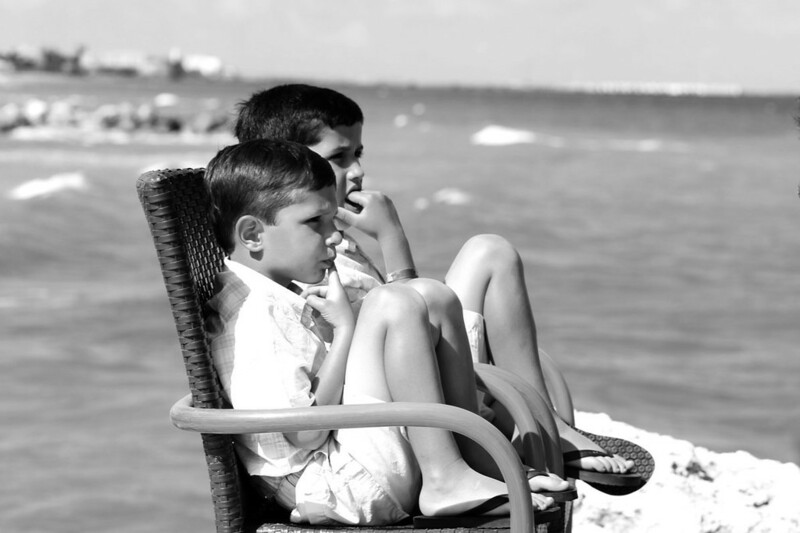 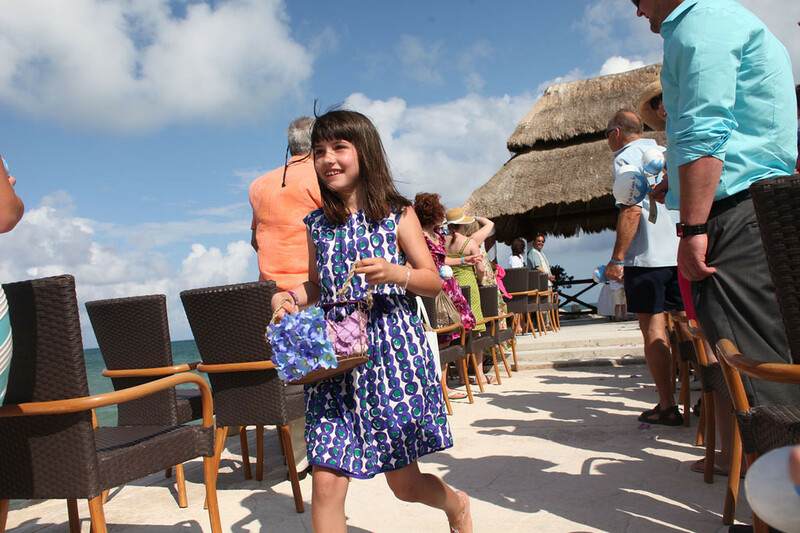 Many of our guest used the child care service and the kids loved it…they wanted to do it every day! 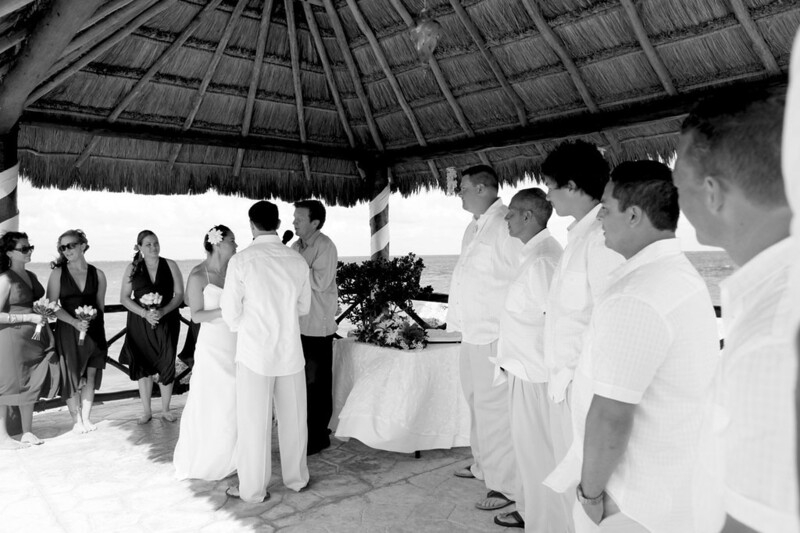 Just to give you a rundown of the weekend, we started the event on Thursday by hosting a welcome reception in the sand at the beach bar catered with Mexican style appetizers in the evening (I went to Playa del Carmen that afternoon and bought a box of cigars for the guest, it’s a little cheaper than the Cuban options on property). 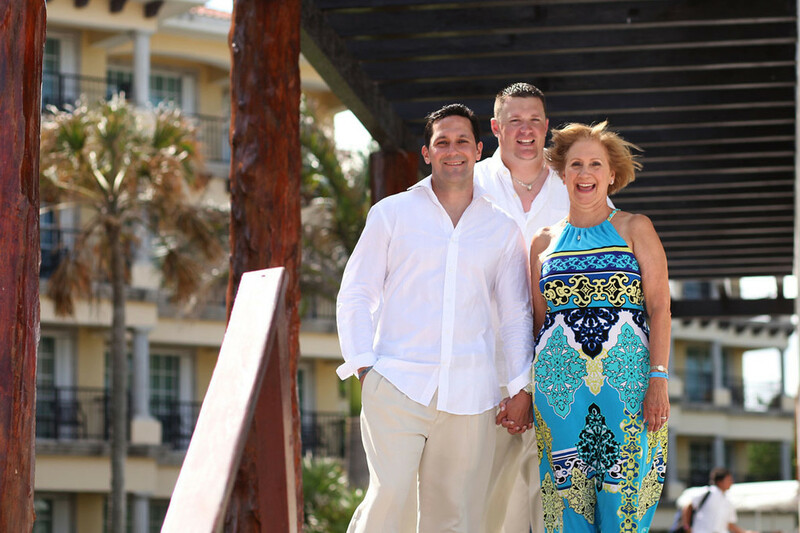 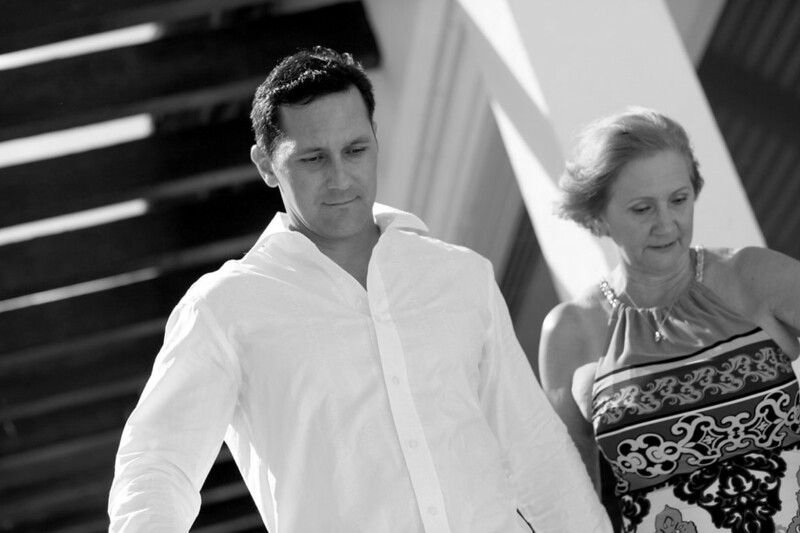 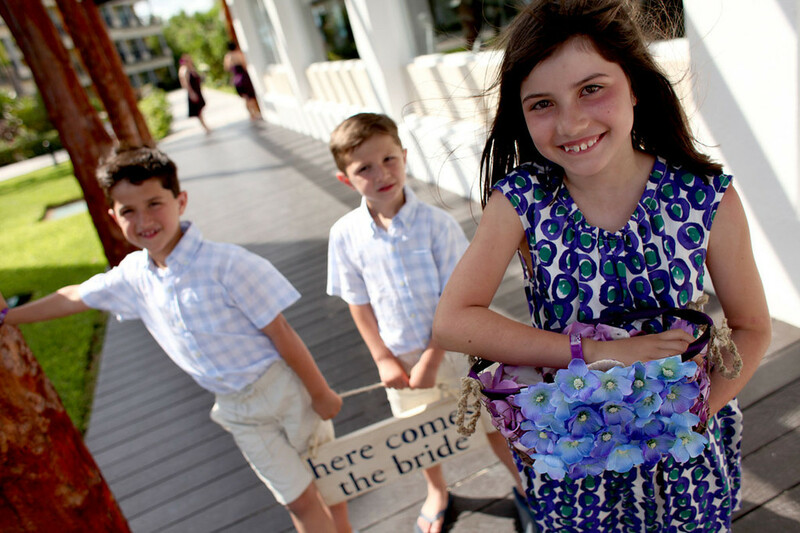 Friday we did the rehearsal on the pier followed by the rehearsal dinner at the El Alcazar restaurant which is the more formal of the options on property (the off property Marina restaurant could have worked just as perfect). 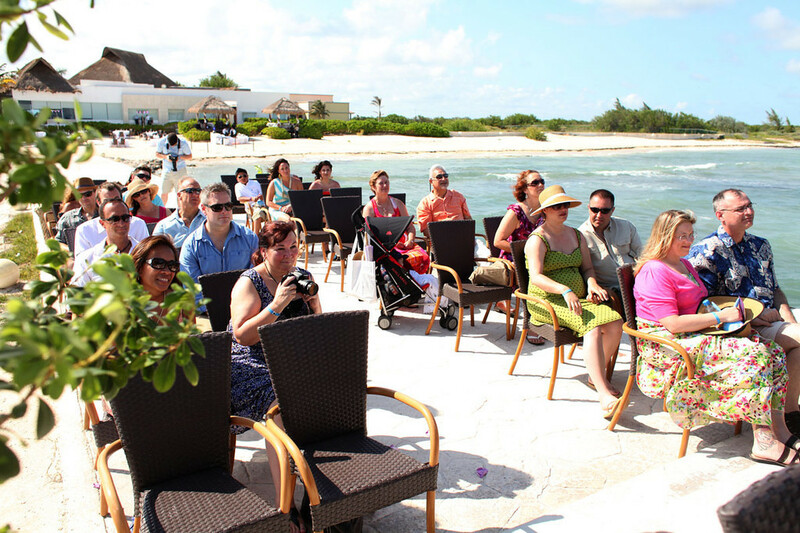 After dinner we hosted the wedding party on our balcony to champagne and fruit/apps. 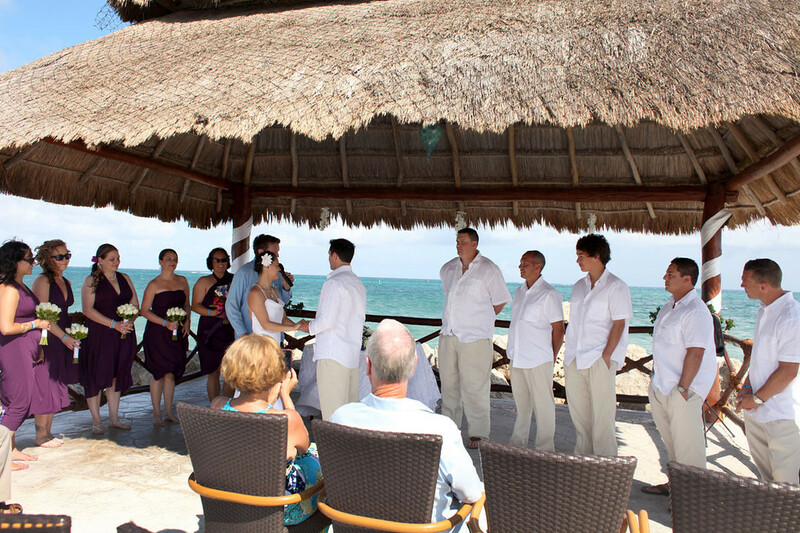 For the big day, we held the wedding on the pier on Saturday at around 3:30, and the reception on the beach followed shortly after (the timing worked out well with the sunlight for photos and the dinner/dancing at sunset). 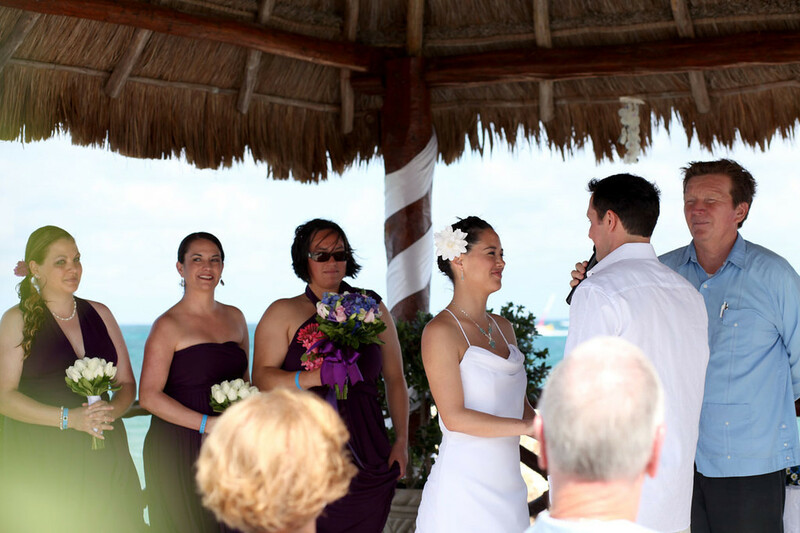 The food was great, the staff was right on time, and the DJ hosted the wedding just as planned with great speakers, lights and microphones for the speeches…he was really great with our song list, and announcing each part of the wedding (first dance, parents dance, speeches, etc.). 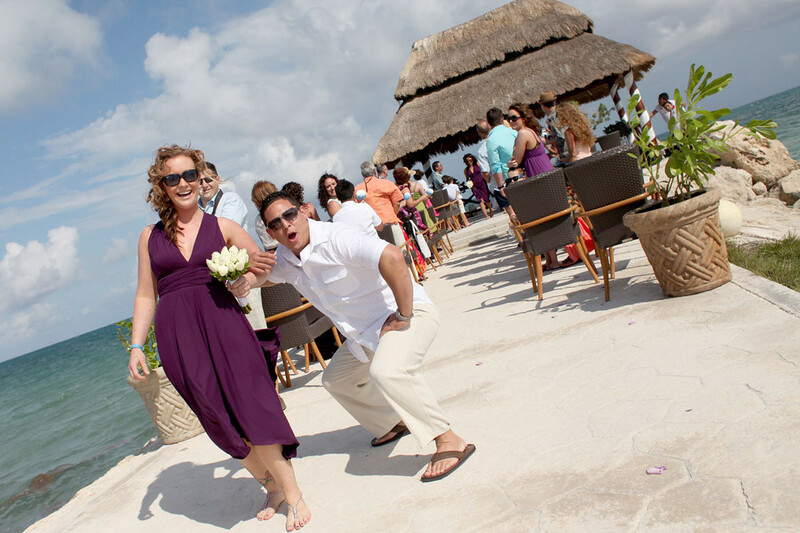 We also rented the light-up dance floor which turned out to be really fun..! 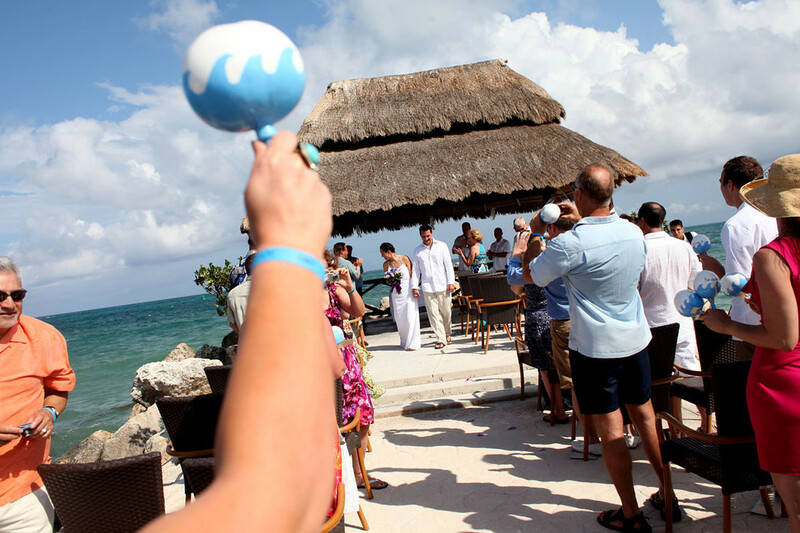 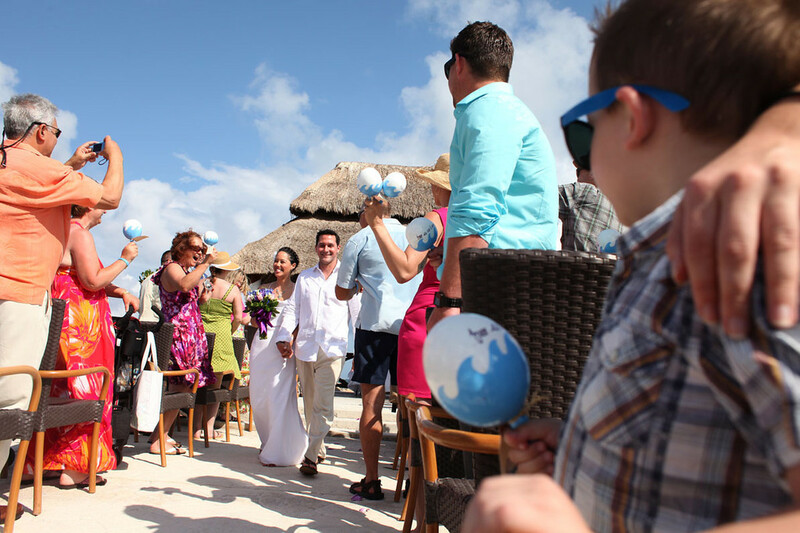 We brought down our own centerpieces to save a little money and the hotel set them up no problem – we also ordered maracas for each guest and they handed those out as well. 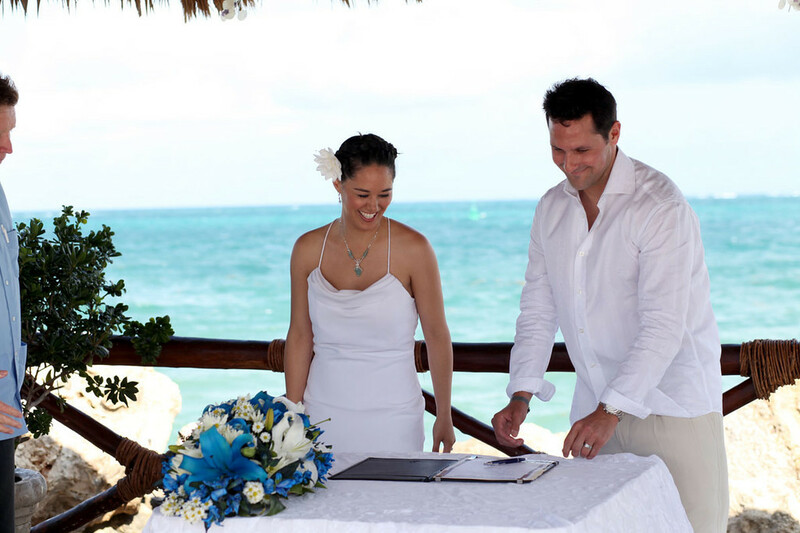 Lastly, the hotel did an awesome job on our cake – it was a nice surprise! 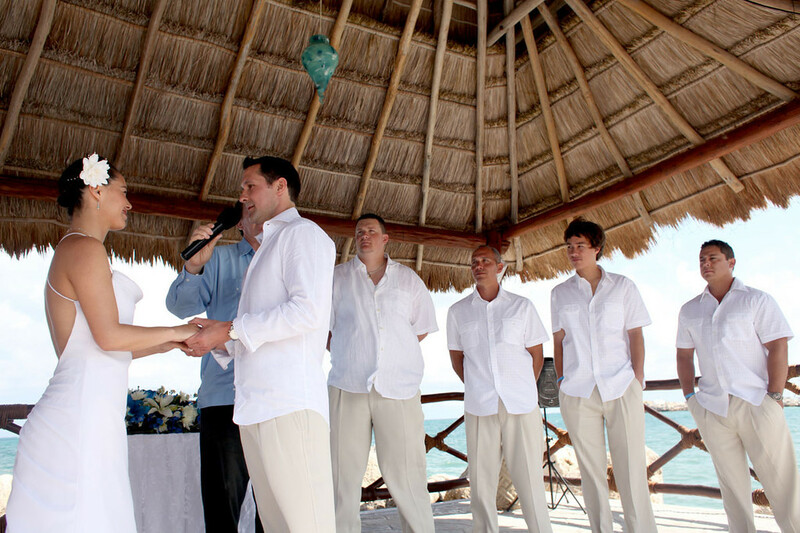 The minister also did a great job with our ceremony service. 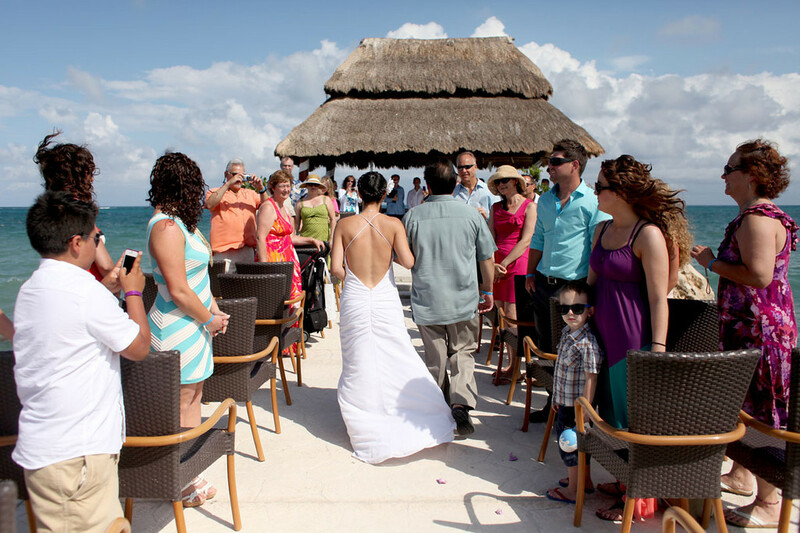 The staff during the reception was great – they were very courteous as well as entertaining…the drinks were flowing and our guest had a great time! 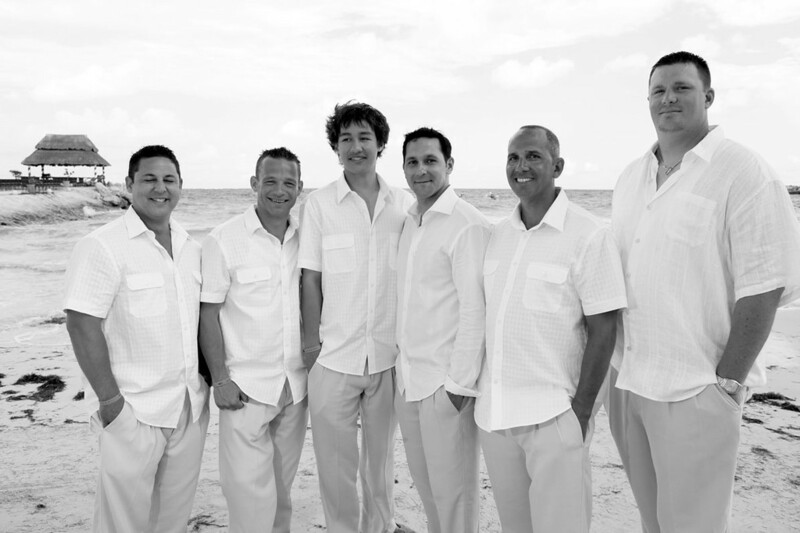 Jose and Francisco from the banquet staff really took great care of us all…my wife and I capped off the event by having a private romantic dinner on the beach for the two of us on our last night…we had a beautiful table set up on the beach with candles and private staff to serve us a 5-course meal (it was perfect). 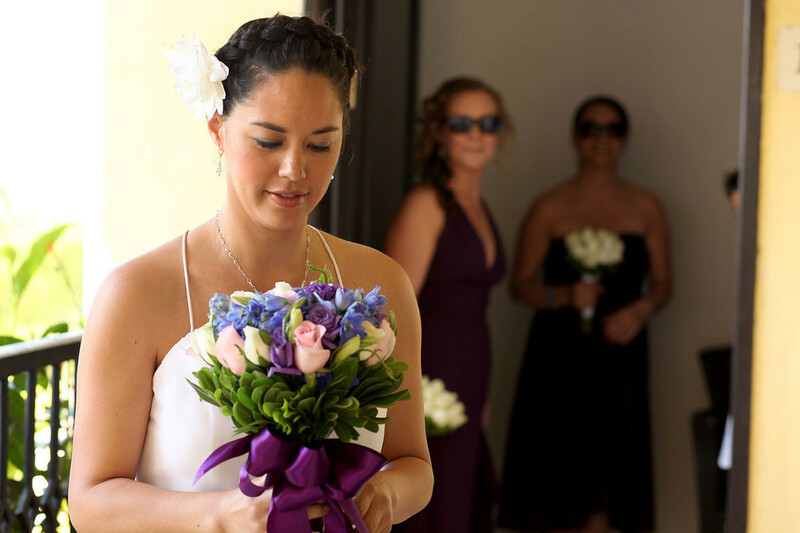 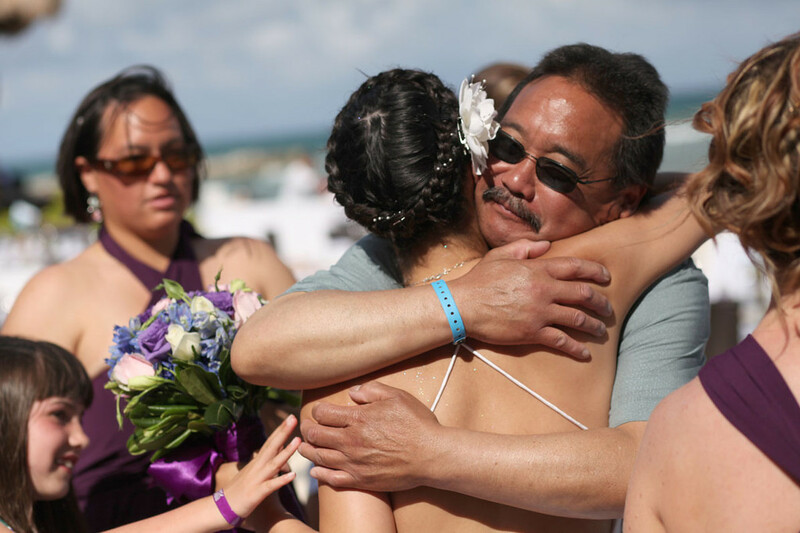 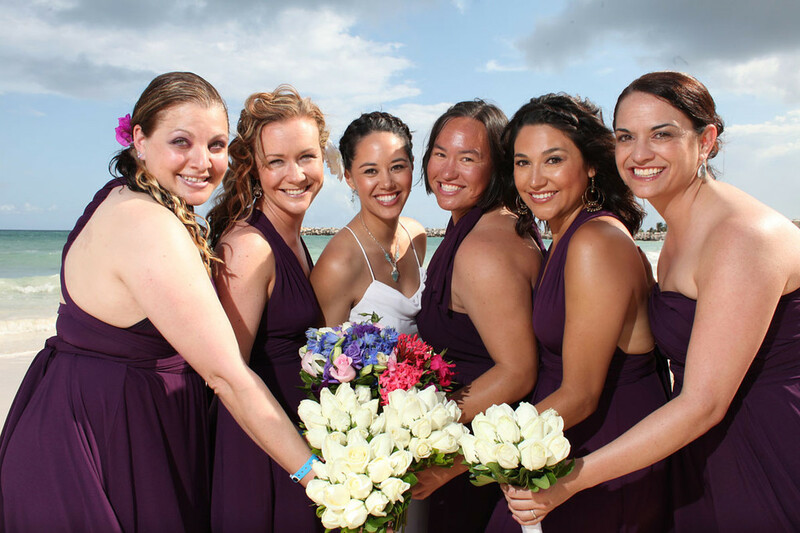 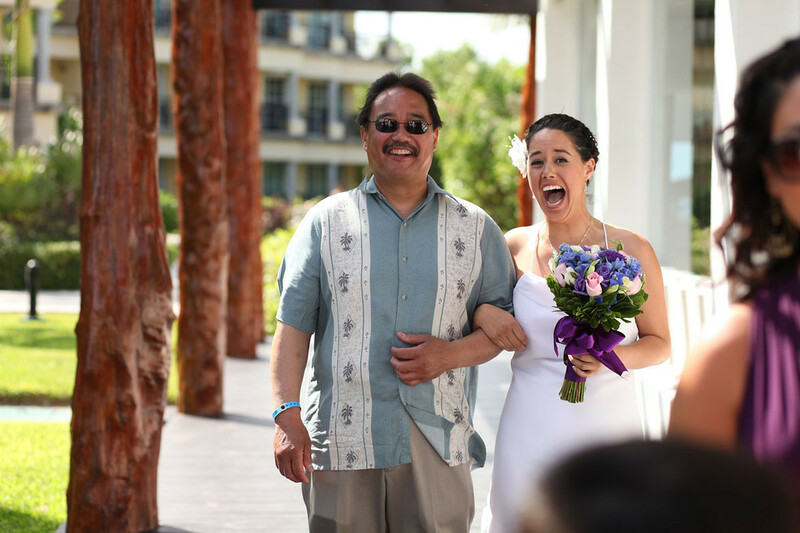 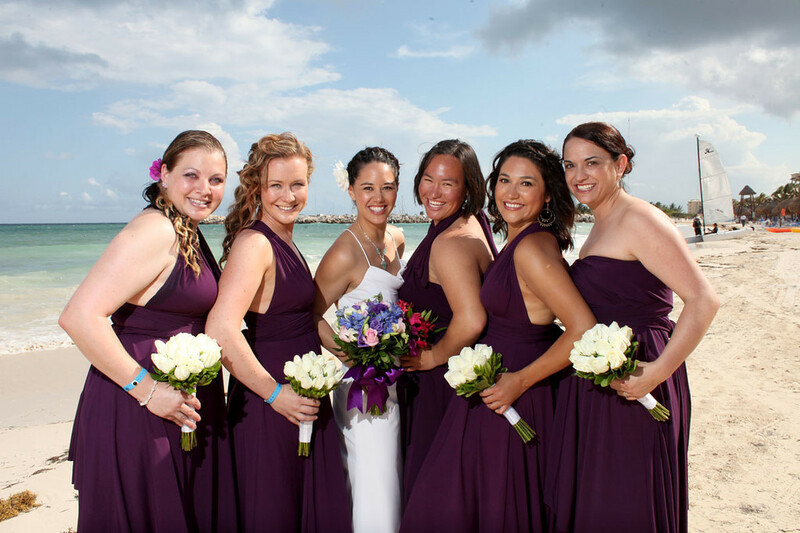 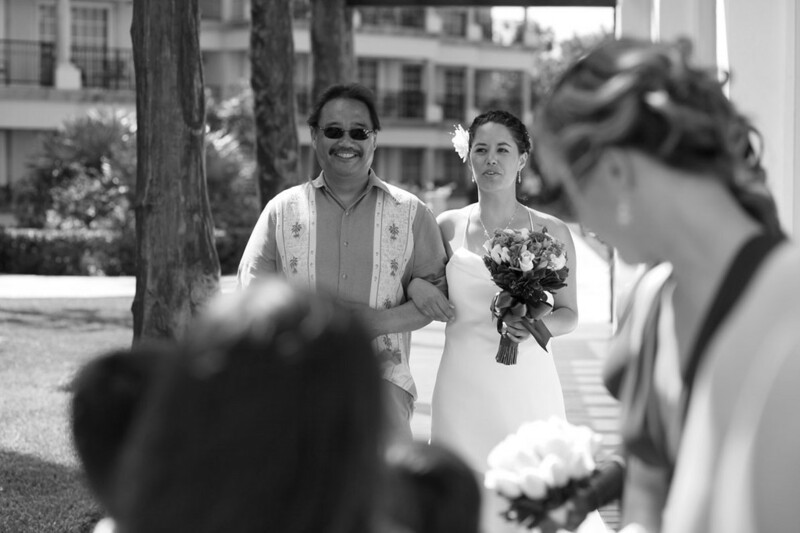 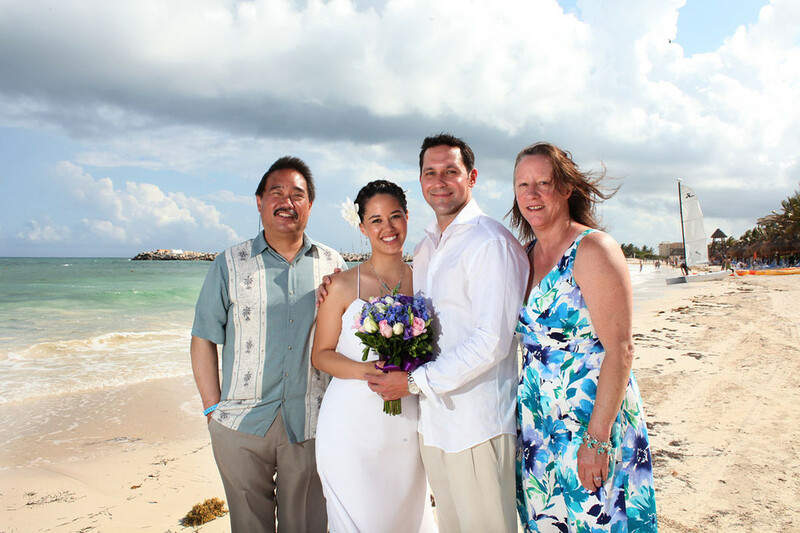 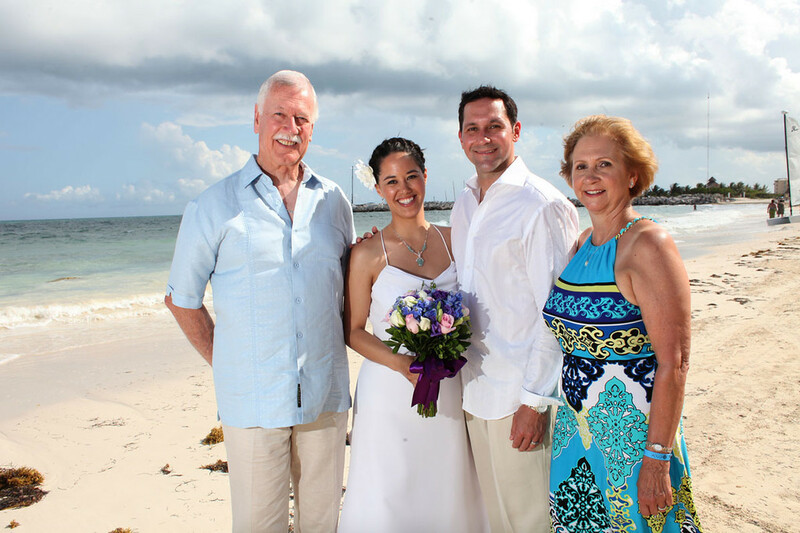 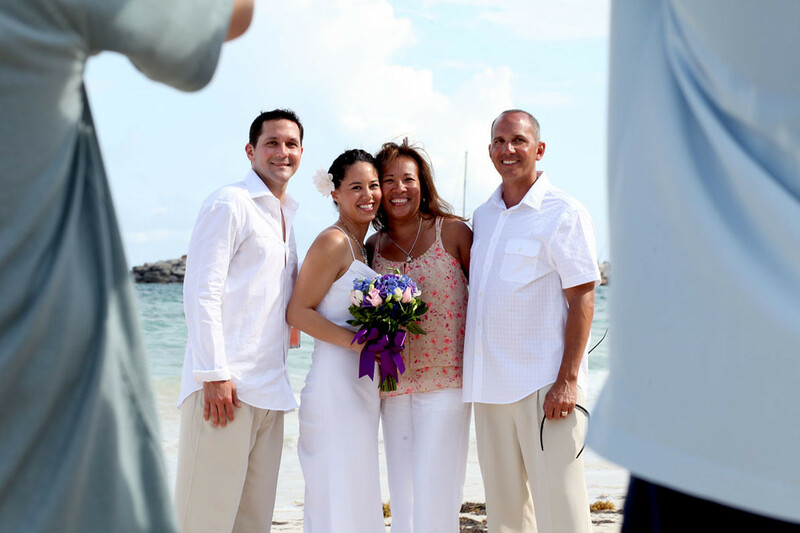 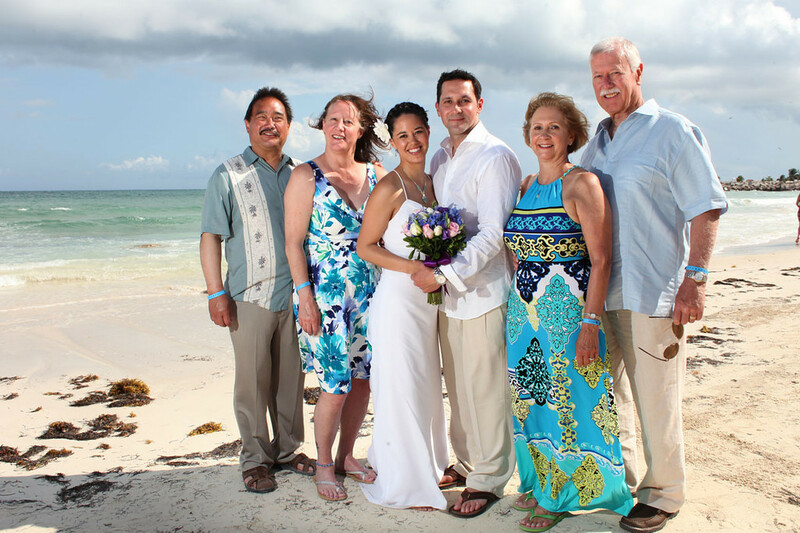 Also, the photographer we reserved through Positive Photos Studios (the onsite photography company) did an EXCELLENT job…ask for Hector – he is an artist and we ended up ordering 50-more additional photos to our package (they are really professionals so have no fear by hiring them). 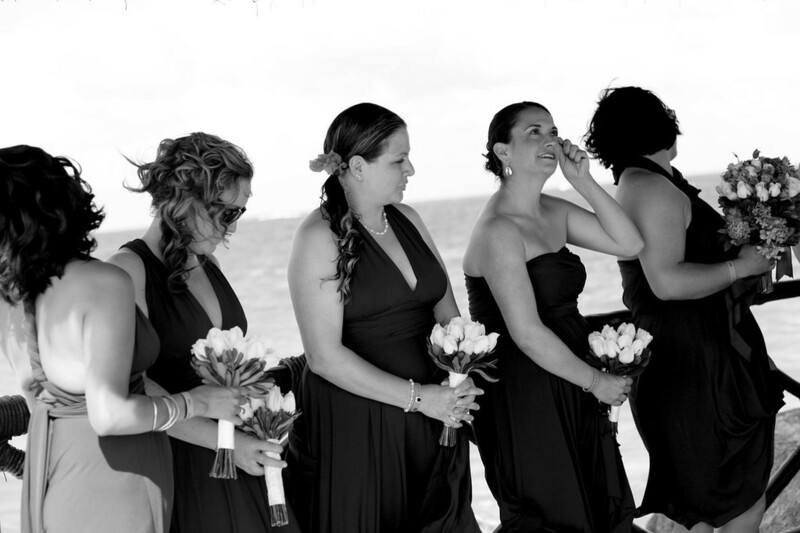 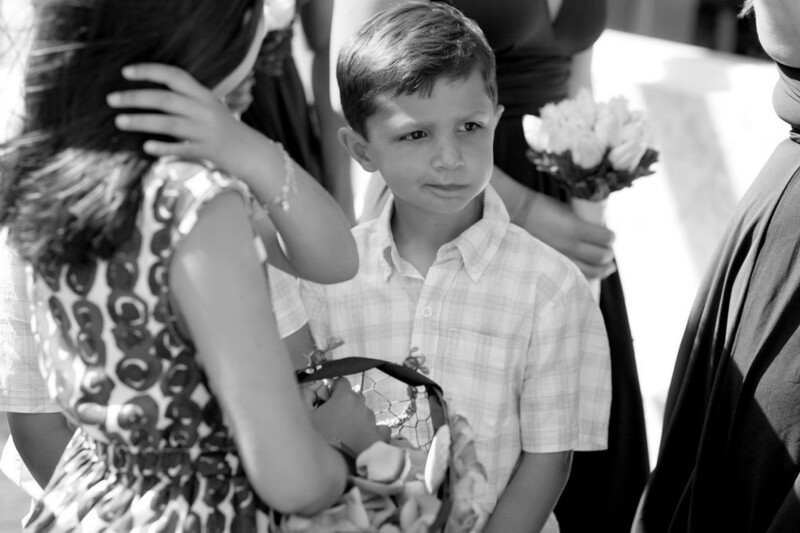 I am an amateur photographer and I was really blow away with his work…I have much to learn! 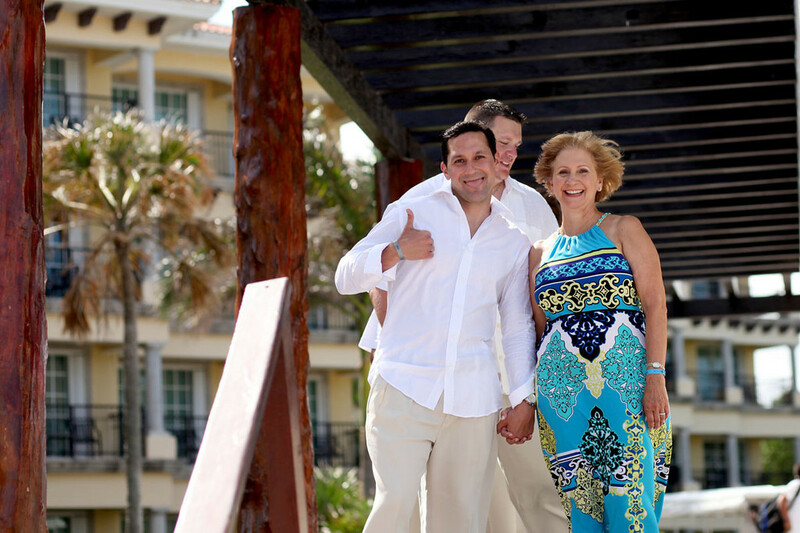 All-in-all, the staff and hotel really went above and beyond to make all of our guest feel special – they remember you by name and really want you to enjoy your time while staying with them…it’s all those small details mentioned above that will make us lifelong El Cid customers (I miss them already and can’t wait to go back)…thank you El Cid, you made our wedding absolutely perfect! 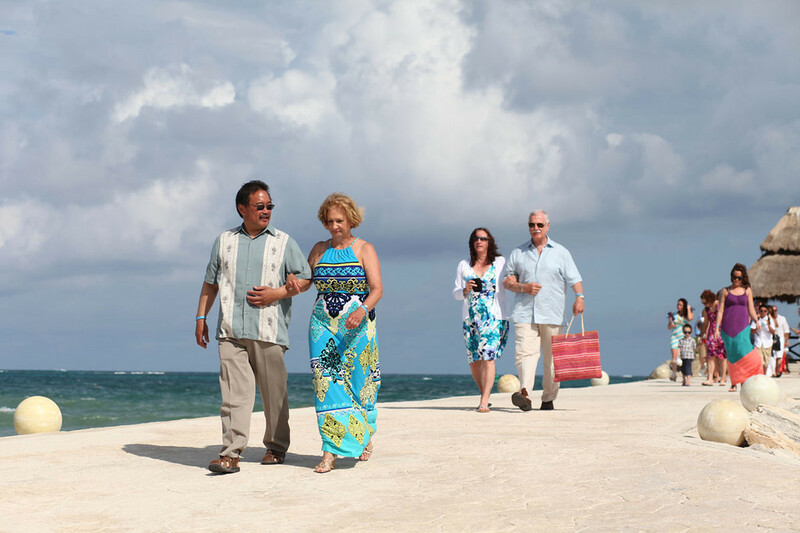 Side notes: use Olympus Tours on property for your transfers and excursions; they are the most experienced and professional tour company in Mexico and will provide you the best service hands down. 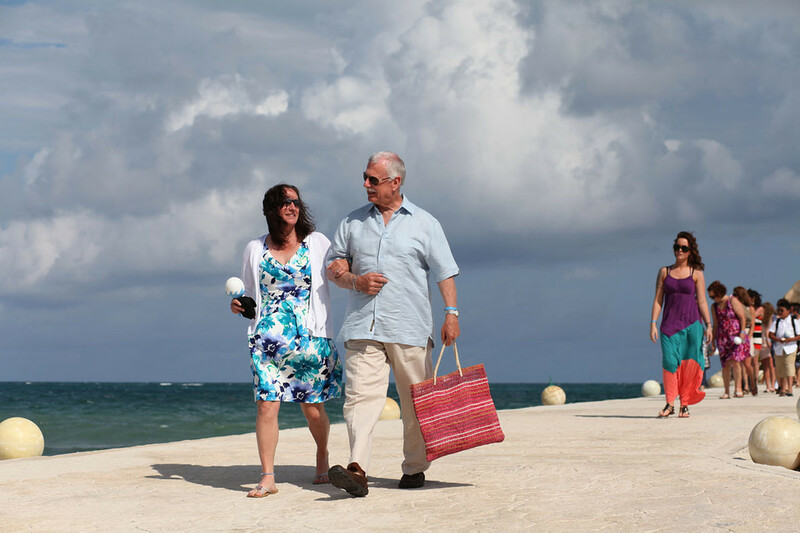 I also recommend renting from National rental car; it’s about $19 a day and the area is easy to navigate. 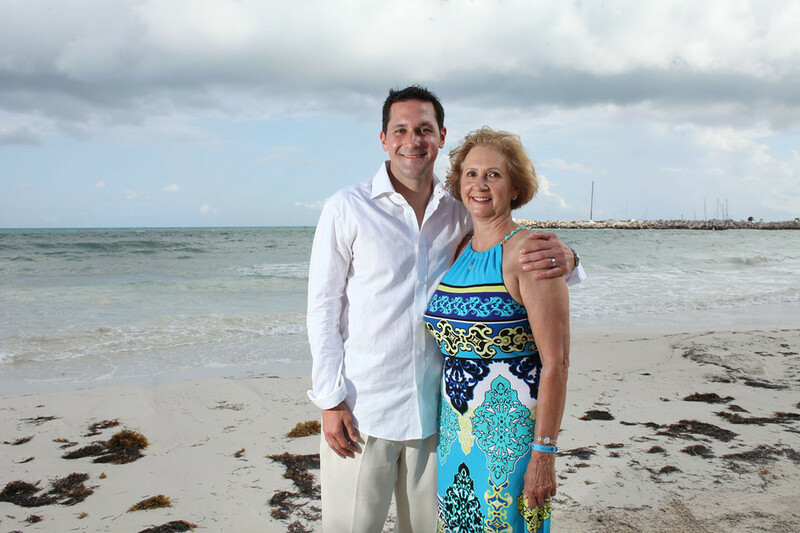 Lastly, the Xplor adventure park is really fun and worth the $109 per person ticket price…and do the water cave swim…the water is cold but well worth it!